A couple months ago I cleared out my wardrobe for the first time in a decade and it was depressing – so much stuff to give away/take to the charity shop/textiles bank. A lot of these things were items I’d actually made and weren’t too bad, I’d just rushed them or not considered the fit. 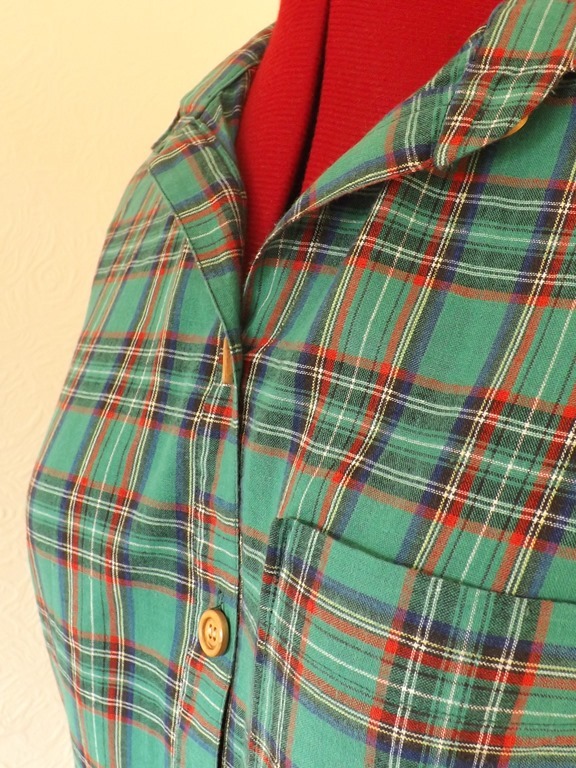 Seeing them in a pile with my circa 2007 wardrobe, I realised they were basically as good as some average ready to wear things I could pick up for about the same price as the fabric. In hindsight this seemed very wasteful of both fabric and my time. 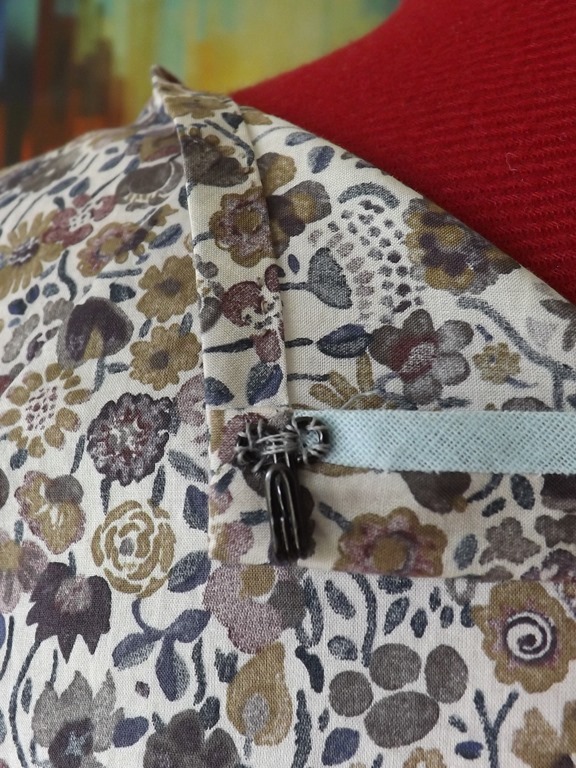 It also dawned on me that, with the exception of some things I’ve made my boyfriend (most recently the Colette patterns Albion jacket), I’ve never actually loved any of the things I’ve made myself, more just thought “that’ll do I guess”. 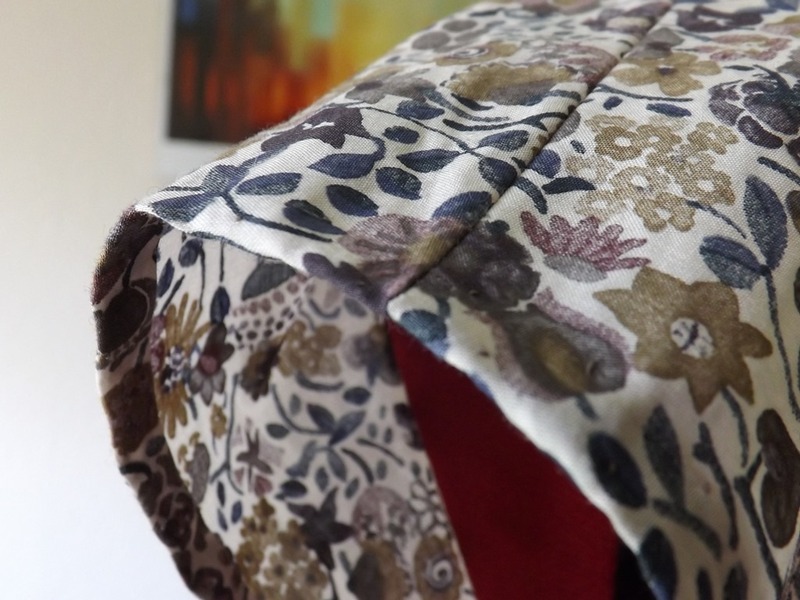 In the last few months I’ve been happily pottering along making things for other people, but I haven’t really enjoyed sewing in the way I used too. I decided that the best thing to do to get myself enjoying it would be to start again from scratch but to aim for perfection on everything. 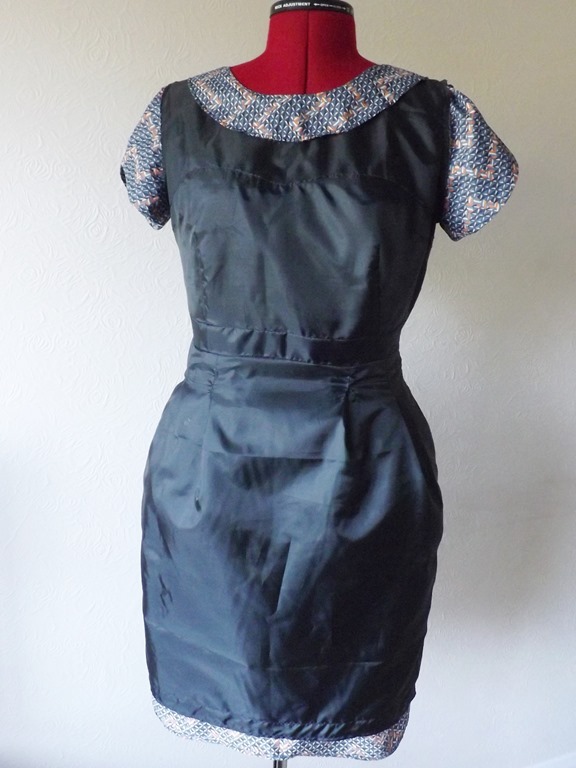 I invested in two books on couture sewing (Clair Schaeffer’s Couture Sewing Techniques and Vintage Couture Tailoring by Thomas Van Nordheim) and invested in a better iron (pressing is key and what not). I then went from blog to blog looking for a very simple top pattern that I could try out the things I’d read about. 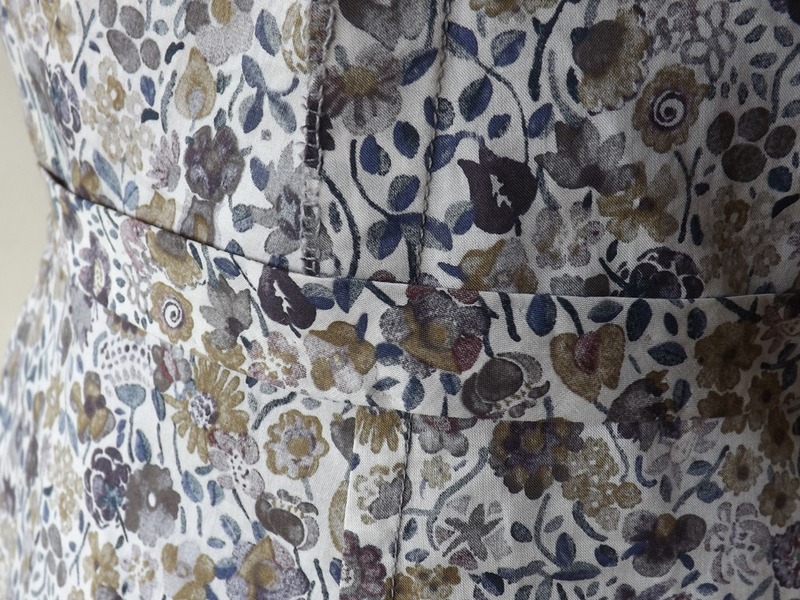 After seeing countless beautiful version of the Anna dress from By Hand London, I bought the pattern. I figured I’d just use the bodice and then shorten the skirt to a top length whilst adding in some volume – basically it’s a peplum top. You’ll have to take it from me as I was feeling too camera shy to wear it myself but this top fits me like a glove! The mannequin has a far more uniform shape so if you see any gapey/taught bits, I promise they’re not around when I wear it. The original fit was completely wrong for my body shape. 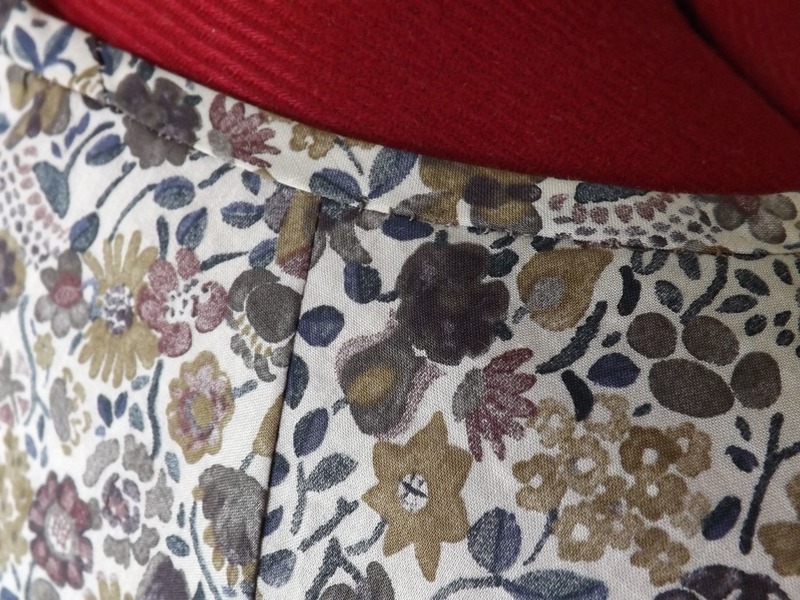 First I made the bodice up in calico and my boyfriend cautiously noted how “it doesn’t meet at the back waist…”. 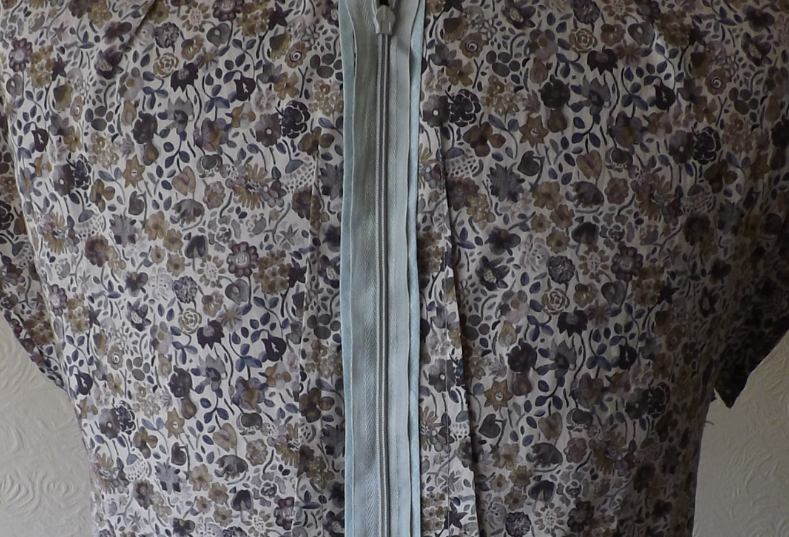 He then kindly inserted a little extra fabric where it wasn’t big enough and pinched out all the excess fabric at the back for me to get it to fit. Back to the drawing board. After going on threads magazines website and watching their tutorial on fitting a torso I figured it was all about the shoulders. Honestly, this clears up so many pattern fitting issues and is so simple. I highly recommend the video on threads but I had to sign up as an “insider” for a couple quid a month which is probably excessive if you just need to know about shoulders. Basically have someone draw round your neck and shoulder line and then transfer to the pattern (this video shows you how to do the latter). 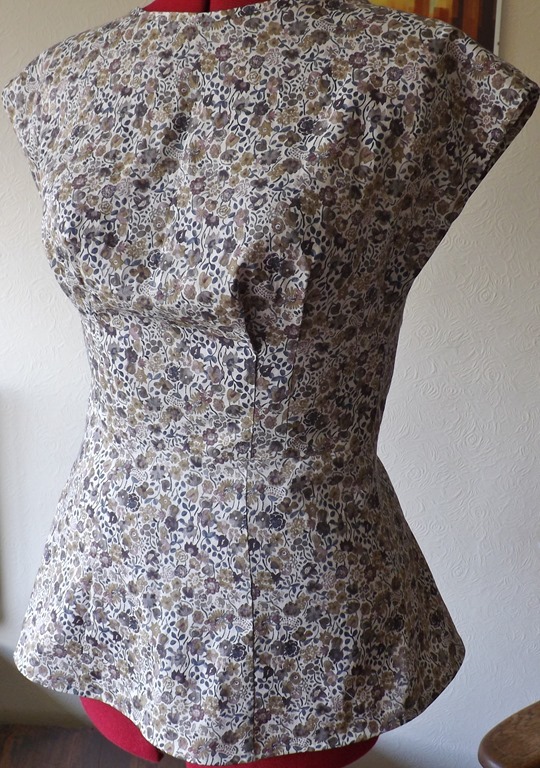 So after adjusting the shoulder slope I looked at all the markings on my first toile. I had to remove one dart from the back and replace it with two (a little one at the top and larger one at the bottom). 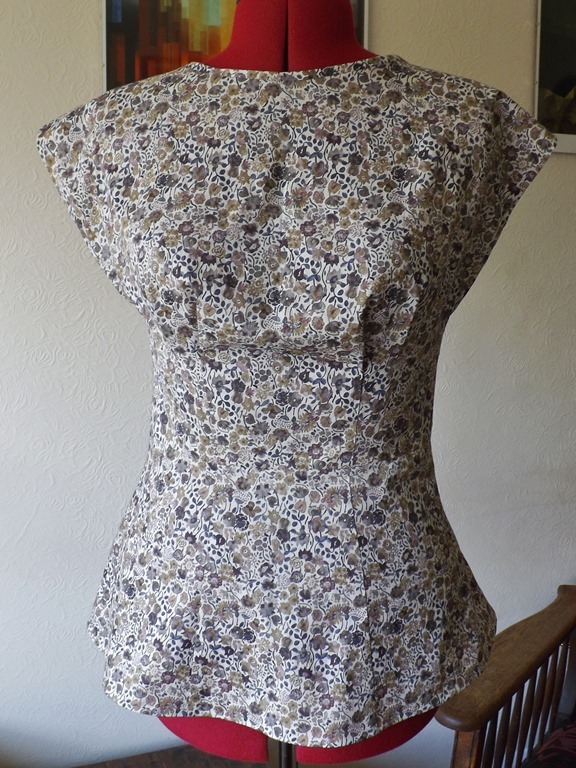 Second toile completed…it still had too much going on round the front (but looking good round the back!). 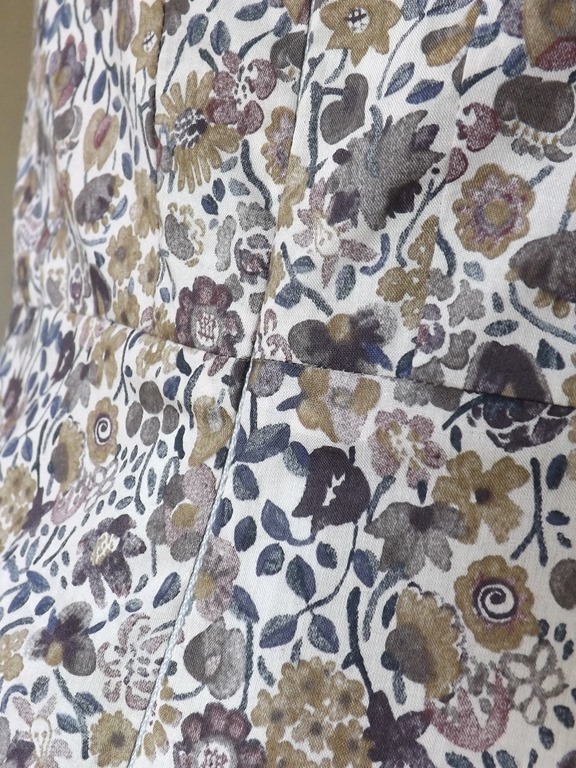 I had to take out loads of fabric at the front neckline which I rather awkwardly transferred to the pleats and then made up my third and (fingers crossed at this point) final toile. Success, the fit was now perfect (this is a new concept for me). 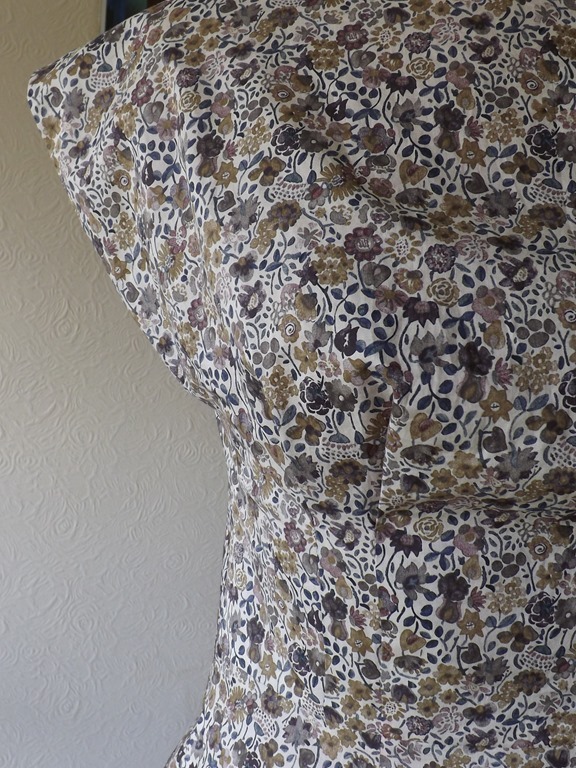 I then got to do the fun bit and make up the finished pattern in a Liberty Tana Lawn using all the techniques I’d been reading about. Consequently this was not a quick project (which oddly made it far more enjoyable for me) and probably took me 40+ hours – what can I say, I’m slow at hand sewing! 1. 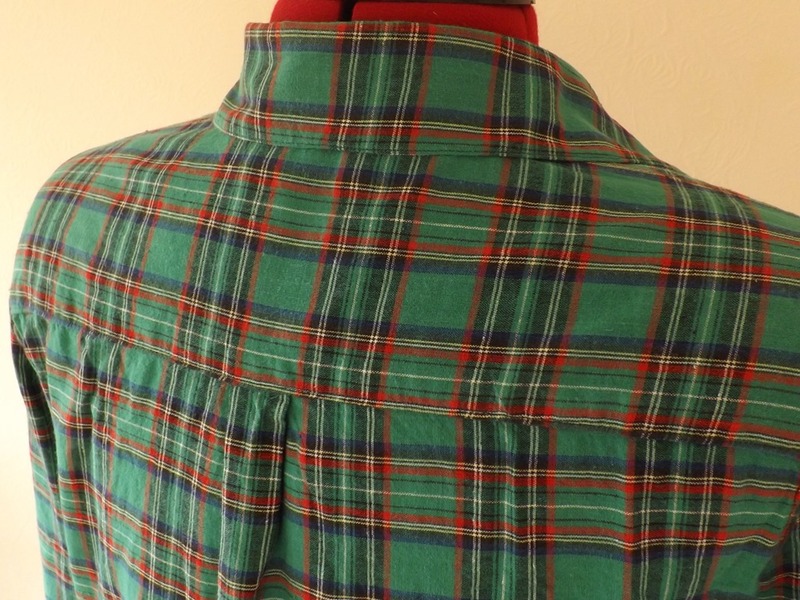 Machine stitch in the pleats and the shoulder seams. 2. 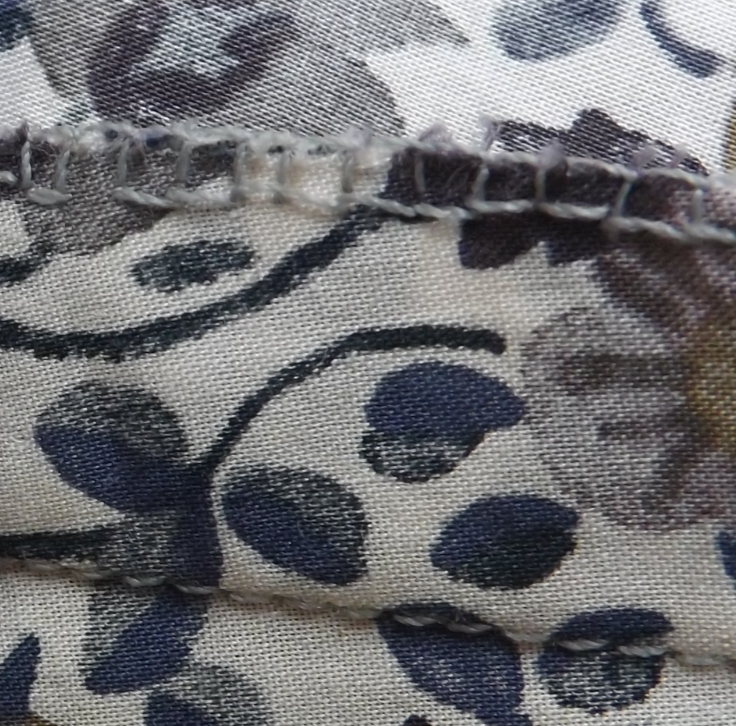 Hand sew on bias binding to shoulder seam edges. It was at this point I found that my thread was knotting a lot so I bought myself some “thread heaven” which is a conditioner for threads and stops it tangling and knotting up as you work – it really saved me a lot of trouble and cost less than £2 on eBay. 3. Prick stitch the shoulder hem so its hem is invisible. 4. Machine stitch the bodice side seams, cut out the arm pit notches, hand overlock stitch to 2mm (including round the notches). 5. Using a catch stitch bias bind the neck edge using the same liberty fabric and using hand stitching again, bias bind the back edge (in retrospect I actually should have done this latter bit after step 7 ). 6. Join the peplum pieces together using French seams, finish back edge by hand with bias binding and machine stitch the skirt to the bodice. 7. 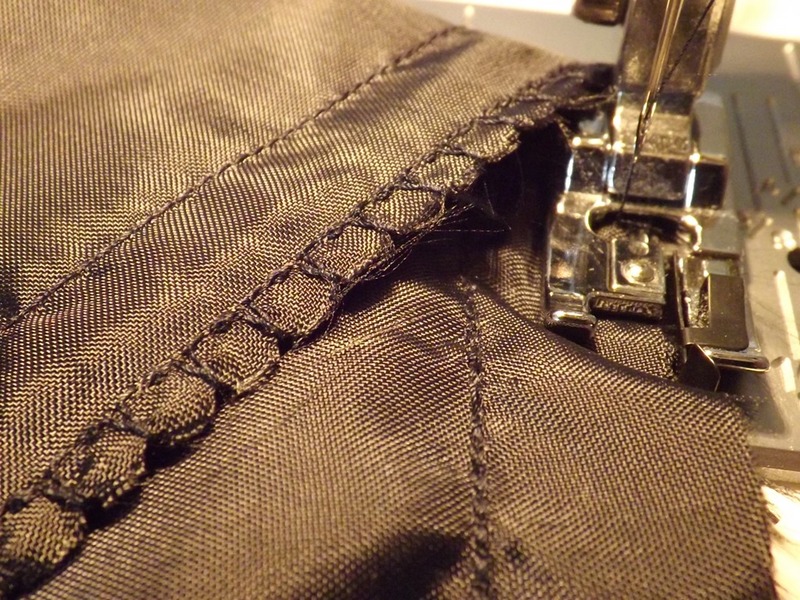 Trim waist seam allowance and press open. 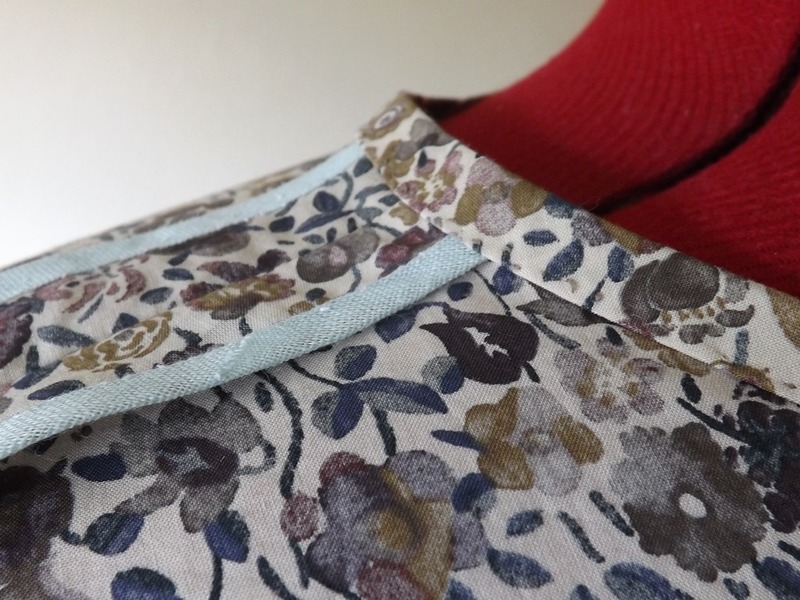 Enclose the seam allowance with bias binding again. I really struggled to find other examples of this that weren’t machine stitched on (I didn’t want to be able to see the threads of the other side) so I just used a catch stitch on each side. I used Gutterman “Sulky” thread which is made of nylon and like sewing with hair – the thread knots easily and is total pain but you can’t see the teeny stitches on the outside. 8. 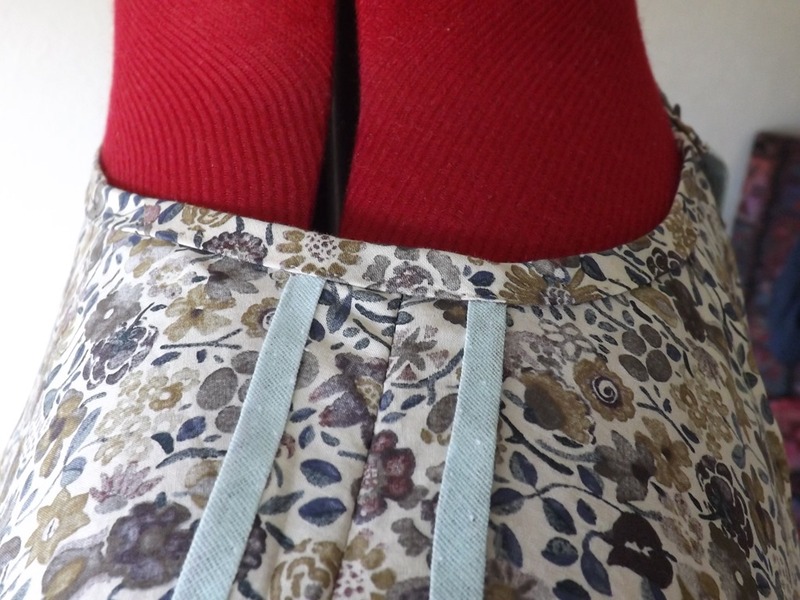 Attach invisible zipper using fancy new foot (a special birthday present) for my Bernina and then join seams below invisible zipper. Attach hook and eye closure at top. 9. Hand stitch bias binding to skirt hem, press up and prick stitch using nylon thread (this took a second to write and ~6 hours to do but I love the finished result). 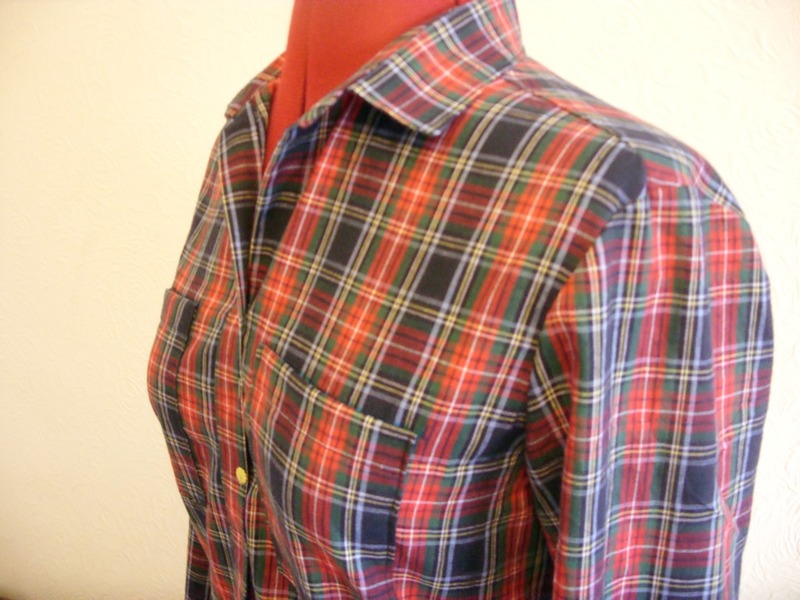 And there we have it, a simple top but probably my best work at this stage of my sewing career. Needless to say the amount of hand sewing means this top is hand wash only but I don’t mind so much after all that work! 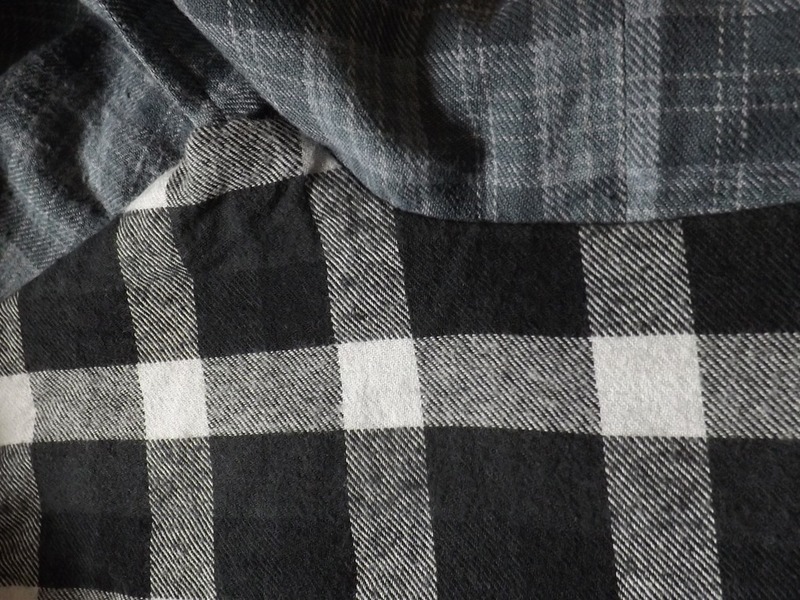 Next on my sewing table, Thread theory Jedediah shorts for my boyfriend (currently making him up a trouser block so fingers crossed < 3 toiles this time…). 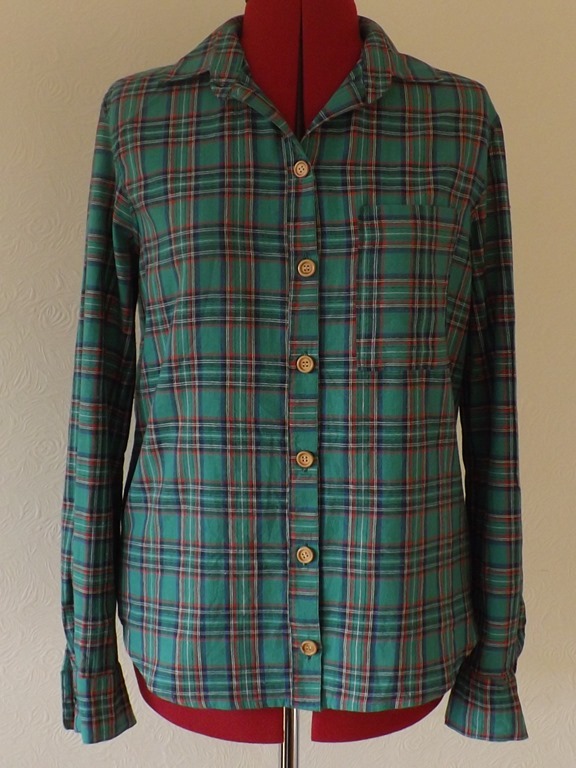 It’s my brothers birthday coming up and he requested a shirt that will keep him warm in winter whilst he works in the outside. 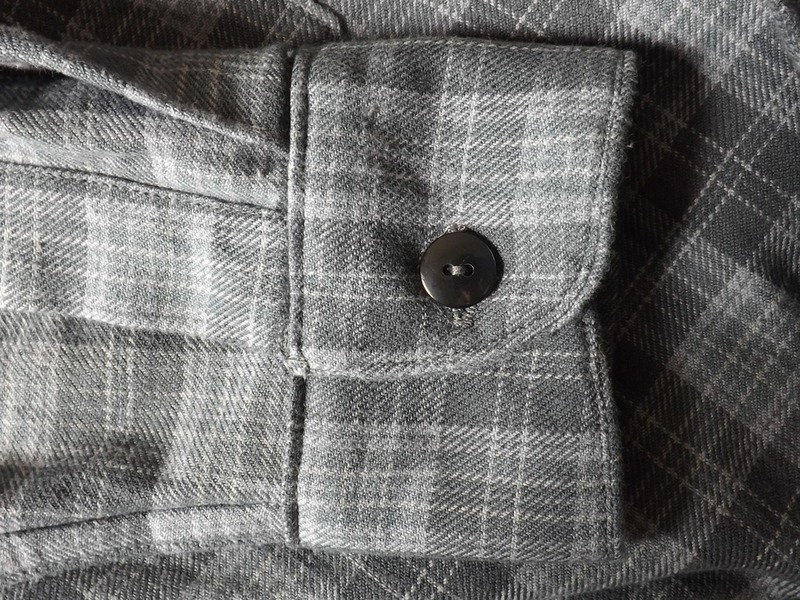 As I have only made two men’s shirts in my short life in sewing (the first technically being a chefs jacket), I thought I’d stick to what I know works and used the second shirt pattern I ever used – the Colette Patterns Negroni shirt. This is a tale of two shirts though as there was so much excess material I figured I should make up another for my boyfriend (who has kindly posed in these photos for me). One slight hitch…there wasn’t quite enough for a second. So a long story short, I ended up using a different fabric for the inside yoke piece and four pieces of fabric for the collar (instead of two). Fortunately I think the end result was fairly ‘seamless’ (hohoho). If you are about to undertake this pattern, I would definitely recommend going OTT on pressing. 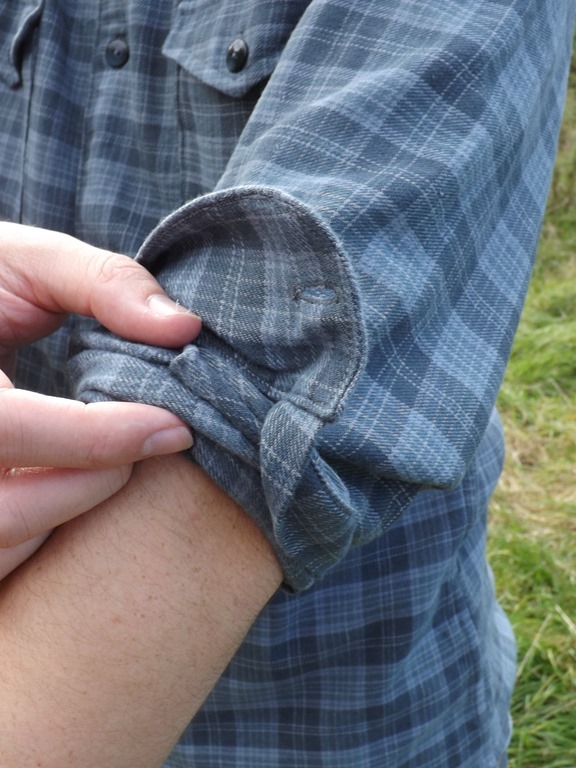 I am so pleased with the flat felled seams and the cuffs on this shirt but on my original version a year ago, they were pretty average at best. 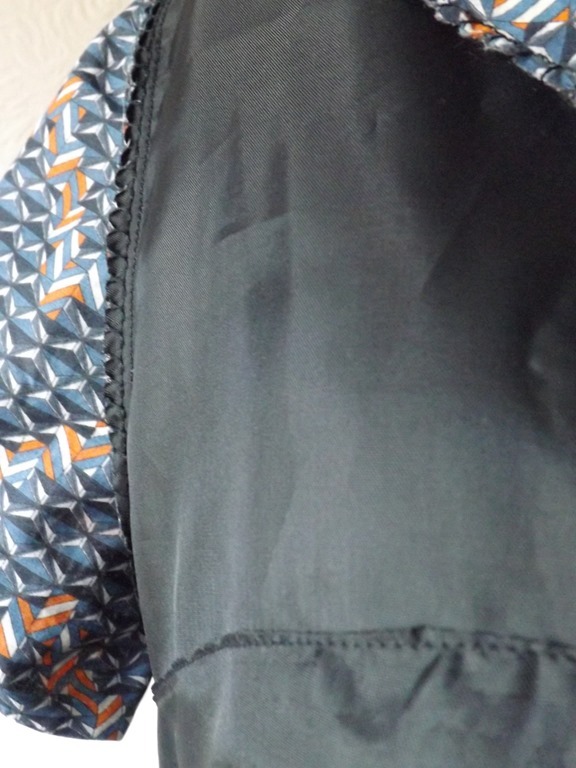 I pressed at every stage of making the seam and it made things so much easier during the sewing stage. 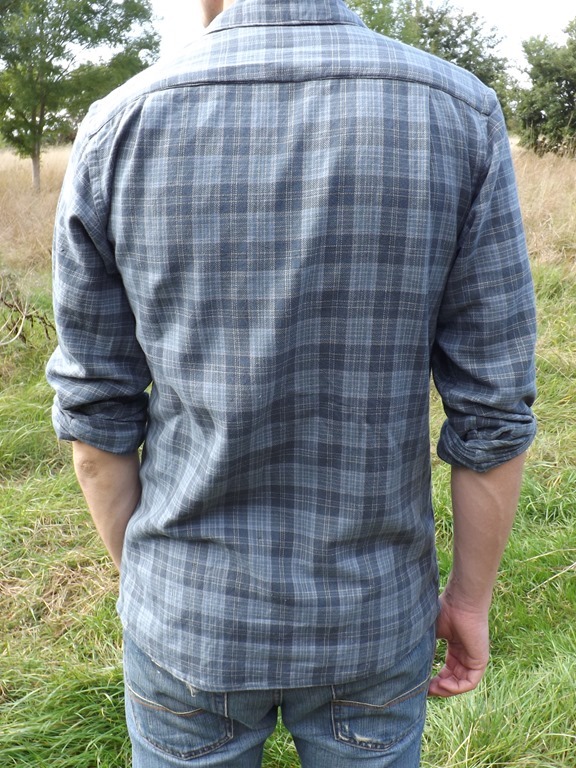 I won’t go on about the pattern (though it’s easy to follow and sized well) but I will go on about the fabric I bought. 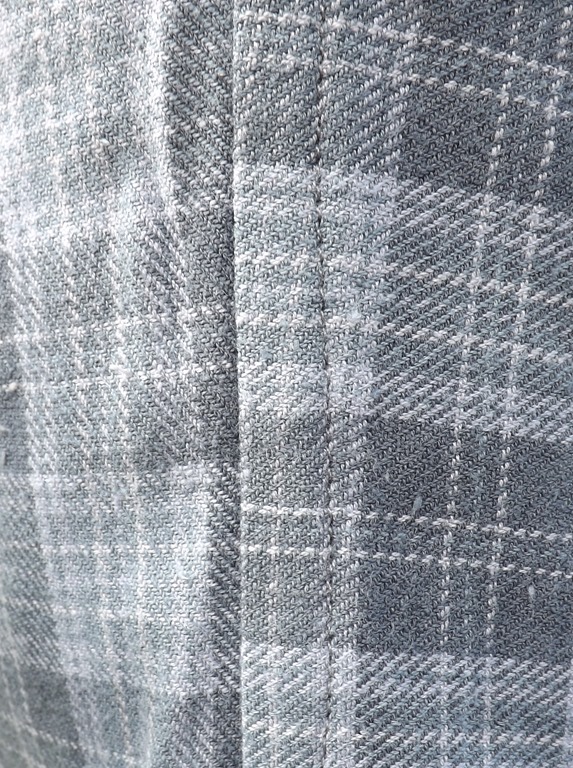 It’s a grey plaid brushed cotton from Truro Fabrics. If you’ve never bought from here I would say their fabrics are not the cheapest on the market but they are of a very high quality and I’ve always been happy. 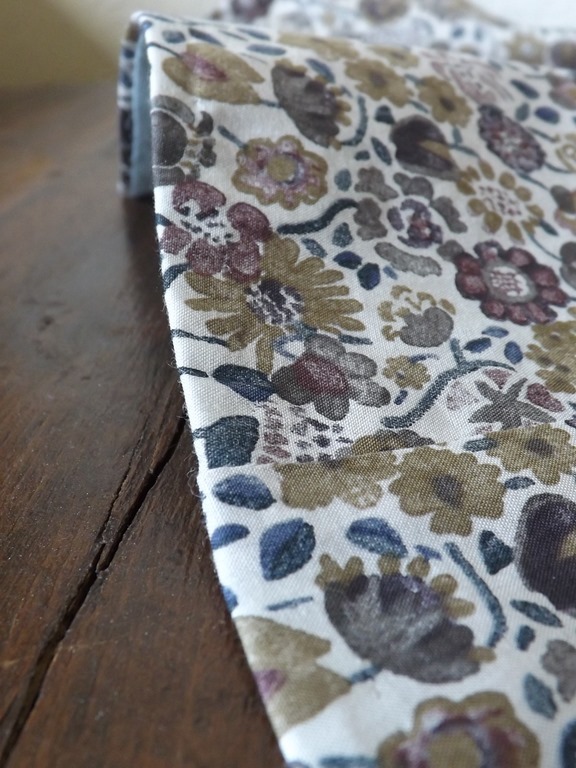 This fabric specifically is so soft and it was lovely to work with – I wish I’d bought more as they now only have green left. The biggest lesson from this project – never make two copies of the same pattern, at the same time, in one weekend…exhausting. 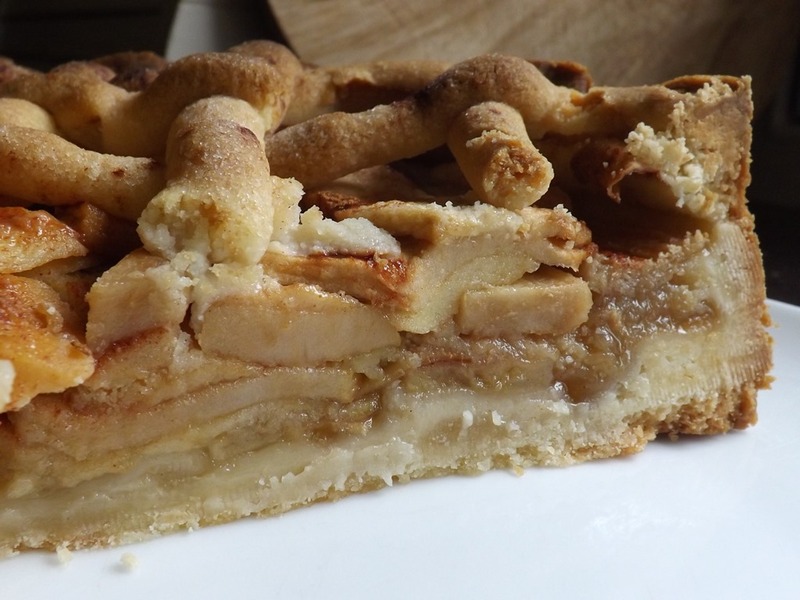 My mother is Dutch and has always made this as a special treat for us – it is really bad for you but really delicious! 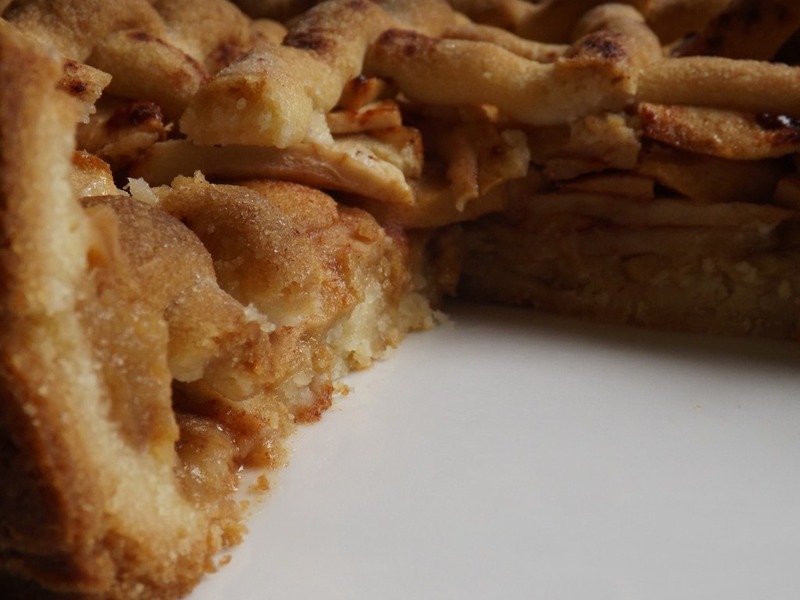 Dutch apple pie isn’t made with your standard short crust pasty like English apple pie, it also doesn’t have a lid and apple’y mush inside. 1. Preheat the oven to 190°C / 375°F / gas mark 5. 2. 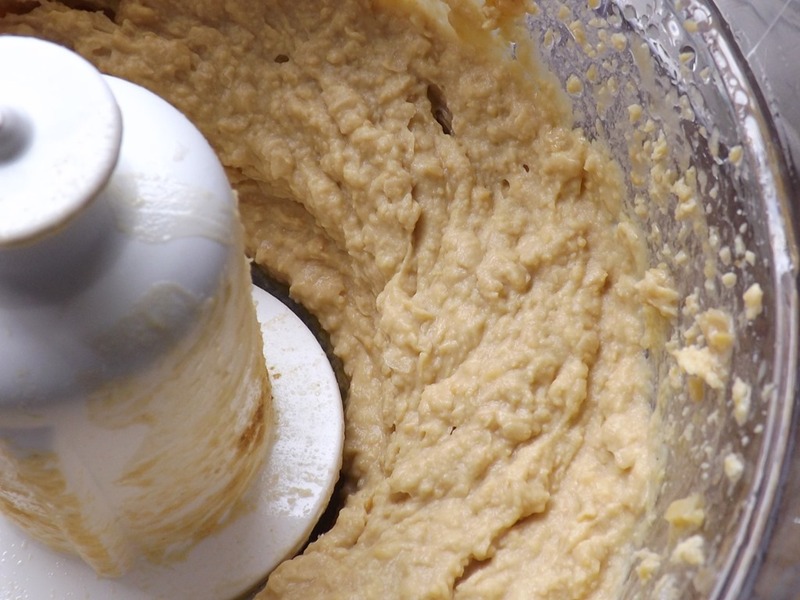 First make the dough. Keep the butter in the fridge so it’s cool and then chop it up into 1cm cubes. 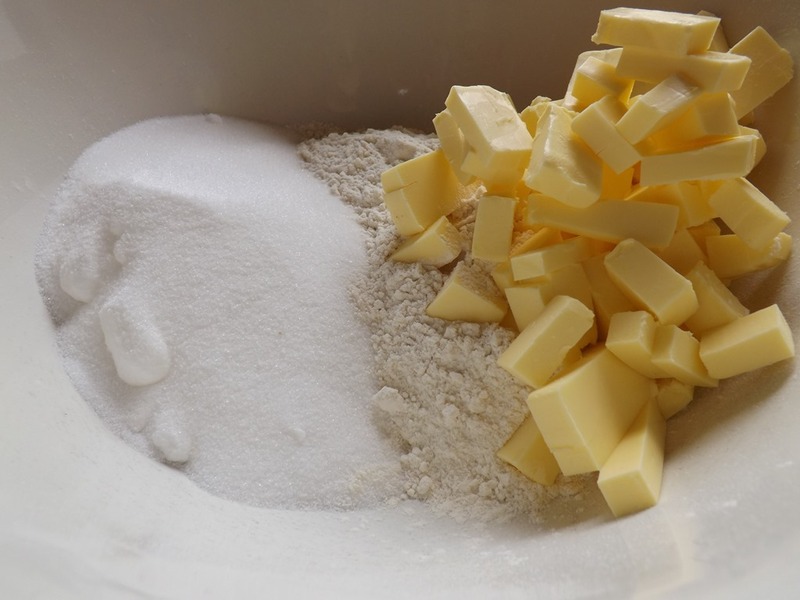 Put the butter into a large mixing bowl with the sugar and flour and then, using your hands, kneed it together until it can form a ball. This takes 5-10 minutes so don’t be dissuaded when it’s at the crumbly breadcrumb stage, I promise it will come together eventually. 3. 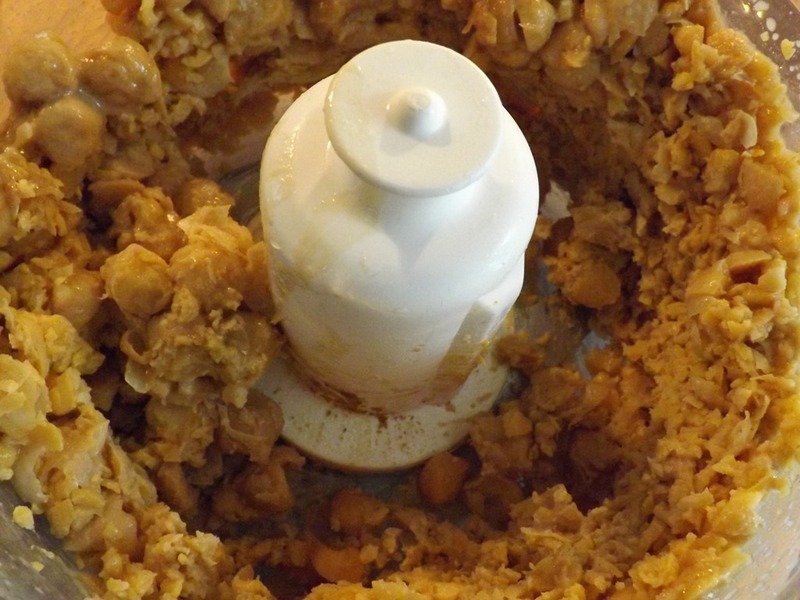 Grease a 9” cake tin with butter and put a circle of grease proof paper on the bottom. 4. 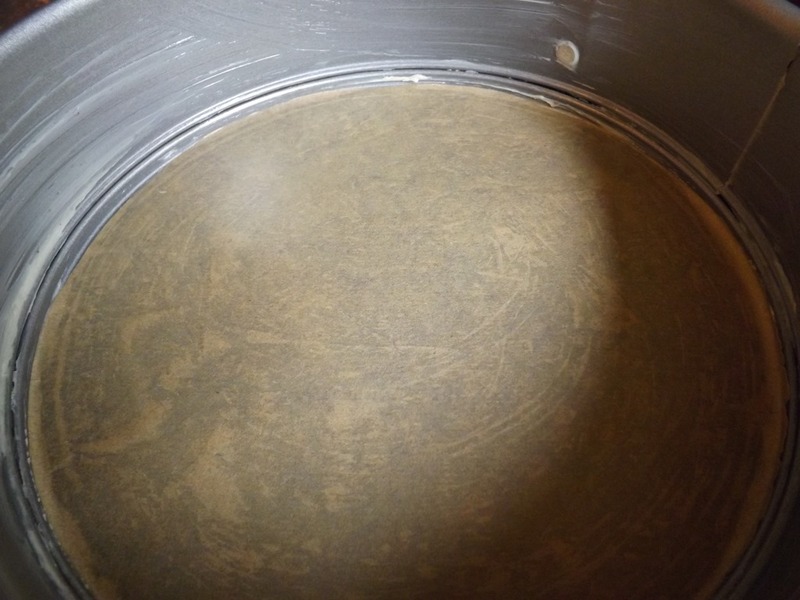 Press 2/3 of the dough around the cake tin. 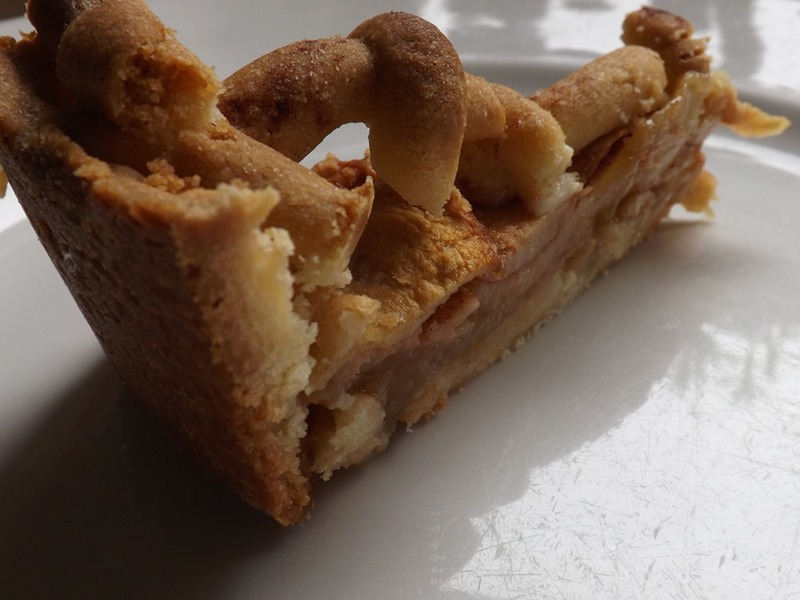 I like to clump it a little thicker in the corner of the tin as once it’s cooked you get a nice thick bit of biscuit. 5. 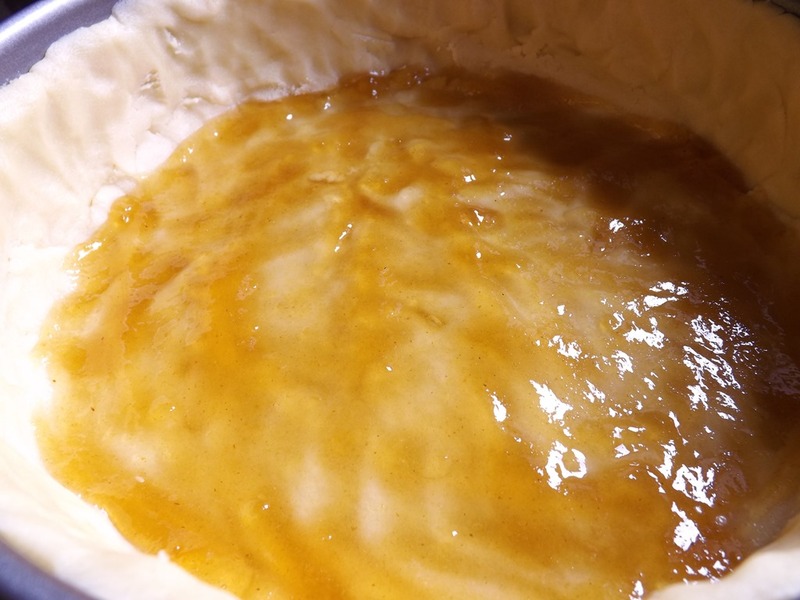 Spread the apricot jam over the pie base. This will make a barrier and stop any juice from the apples making the base soggy. 6. Peel and core the apples before slicing them into 5mm thick pieces. 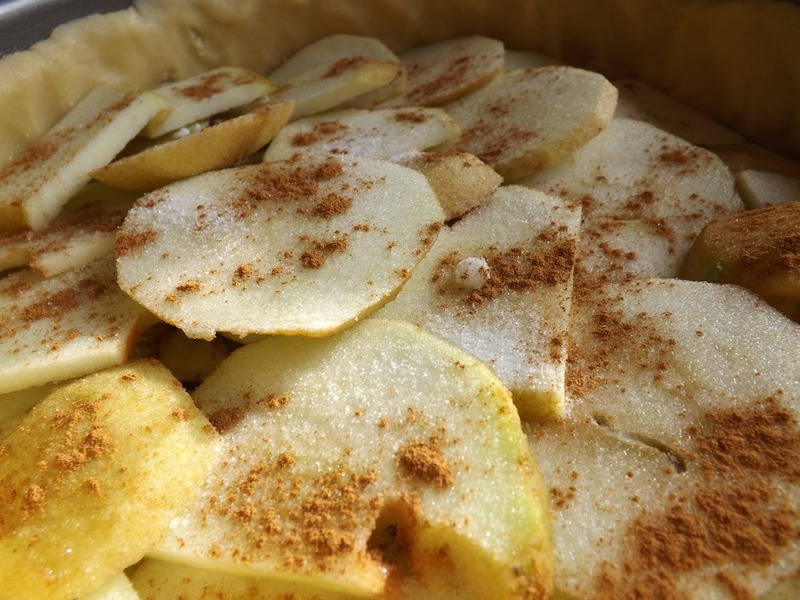 Place a layer of these over the apricot jam before sprinkling with a teaspoon of cinnamon and sugar. Repeat until you have filled the tin to the top (I find this is normally 3 layers). 7. 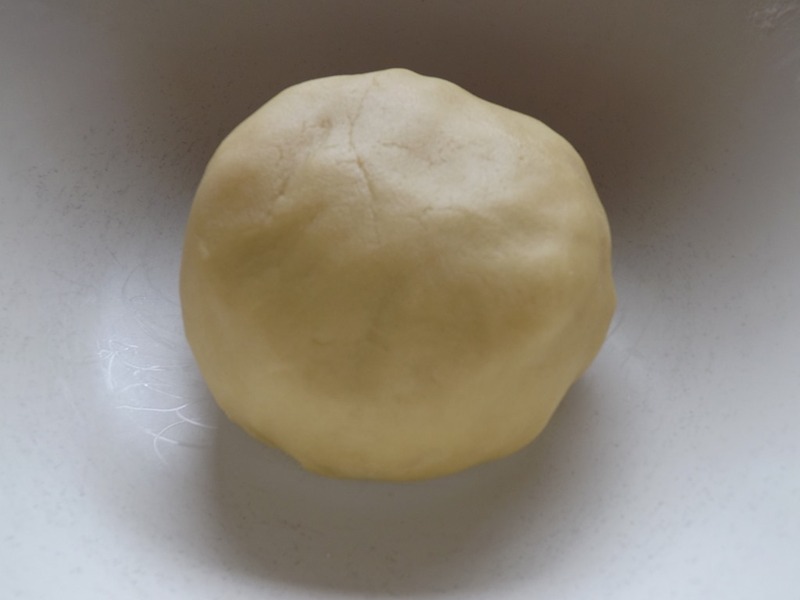 Take the remainder 1/3 of dough and on a clean work surface, roll out bits of it into long strips. 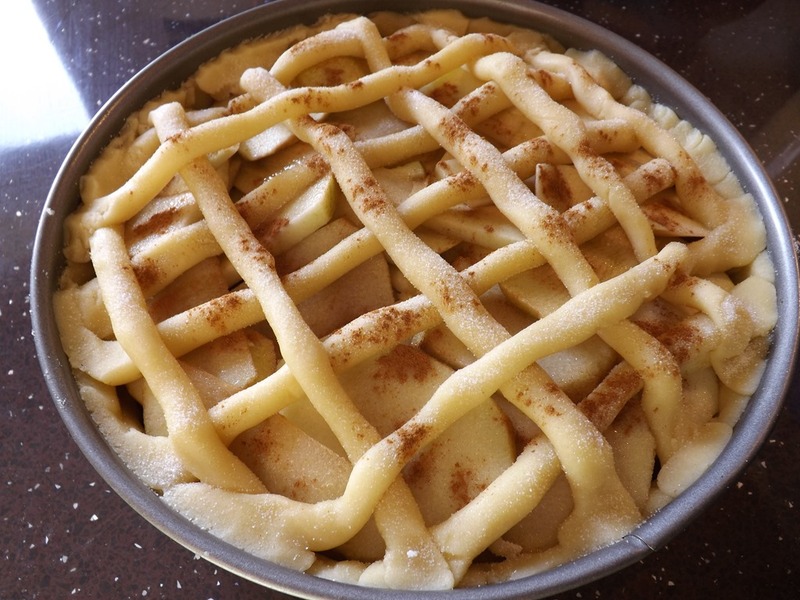 Use these to make a lattice (as you can see – this has never been my strong point…). 8. Cook for 1 hour 10 minutes or until golden brown. 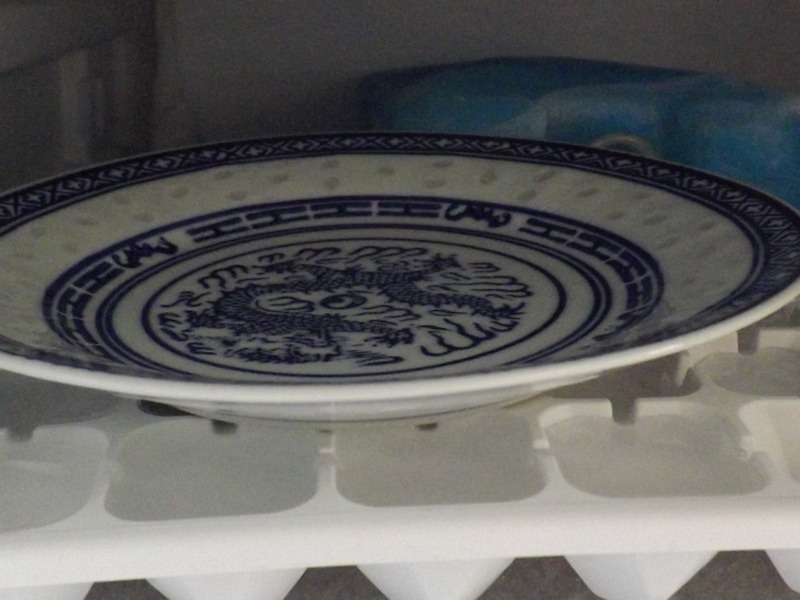 Leave to cool before removing the pie case. 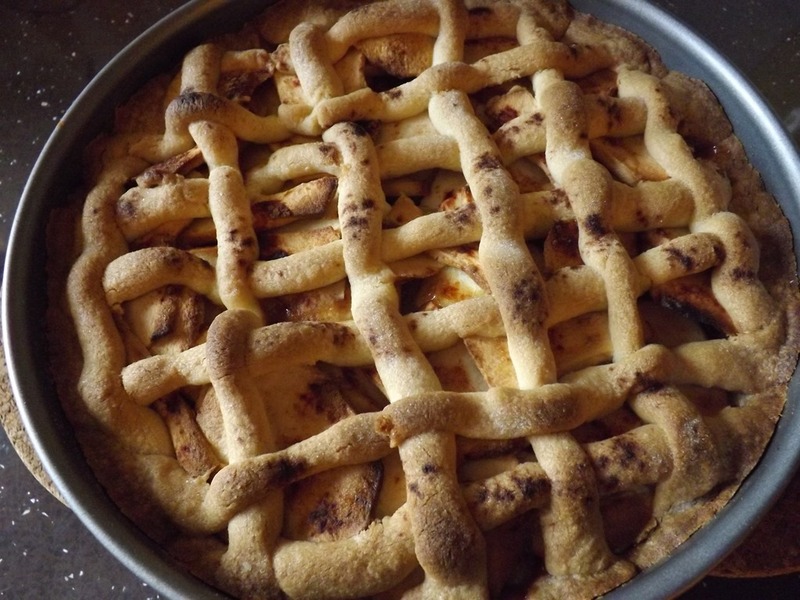 This pie will keep for 5 days in the fridge and gets better with age (think gooey and chewy and biscuity at the same time!!). 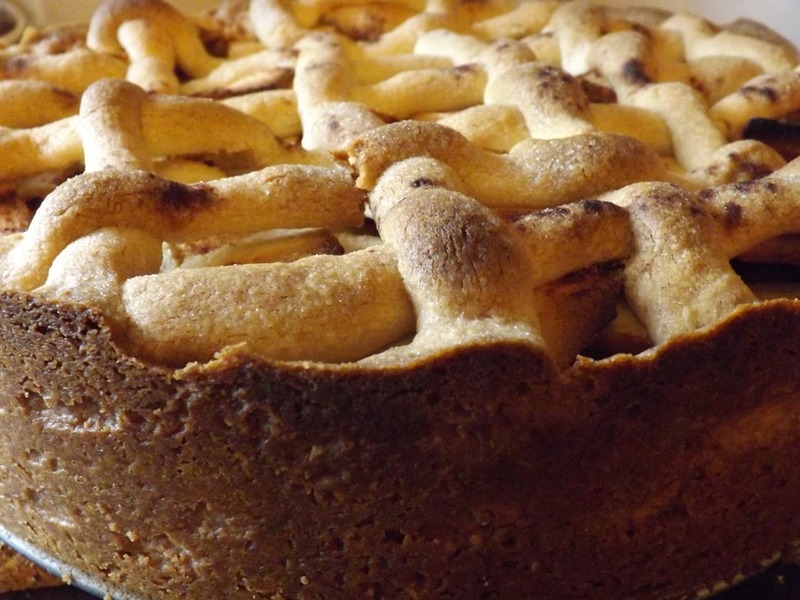 Bon appetit, or as the Dutch say, eet smakelijk! 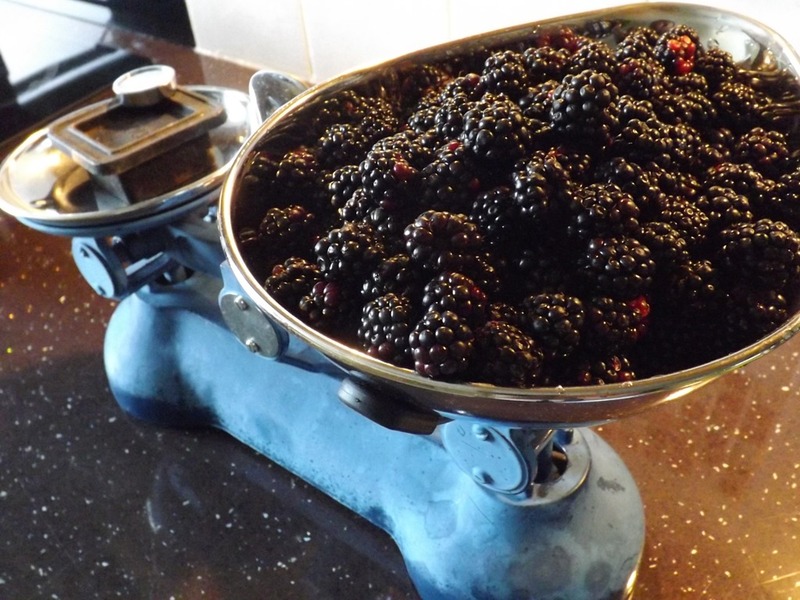 So it’s been blackberry season for like a month now and for me that means blackberry and apple jam. 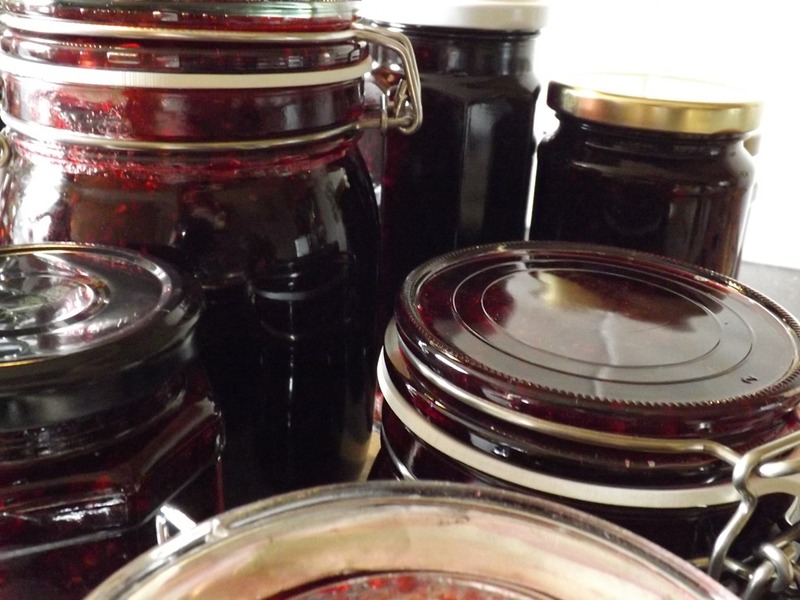 I’m still a relative newbie to jam making – this is probably my 5th batch of the stuff, but here are some tips I wish I’d took on board when I started. 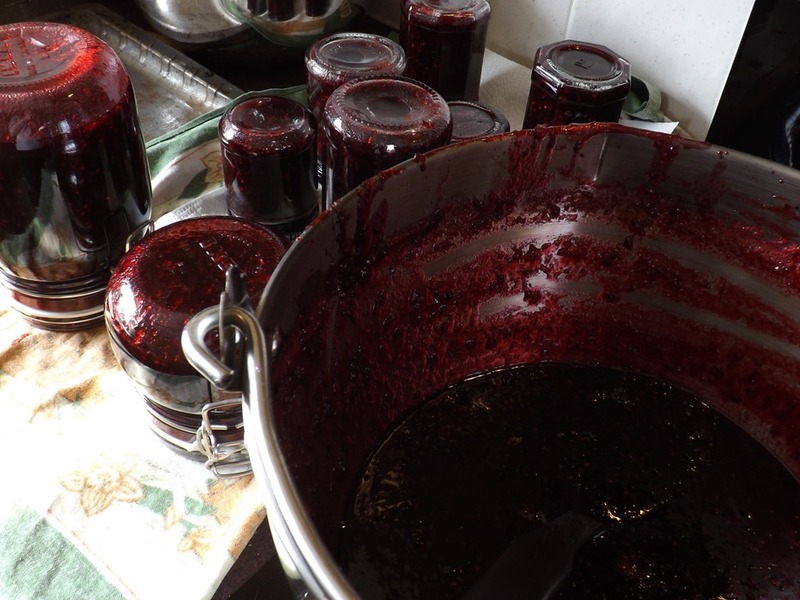 The best bit about making jam is that you can, with a little foresight, make it for very little money. 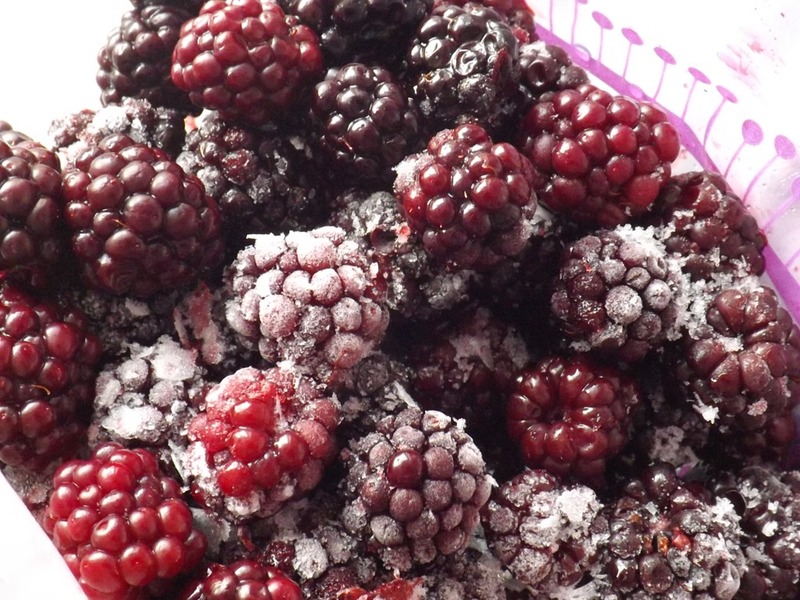 I got all of 2.5 kilos of blackberries from hedges near my flat over what must have been 4 visits, each a week apart, and just put them in the freezer when I got home (after washing of course). 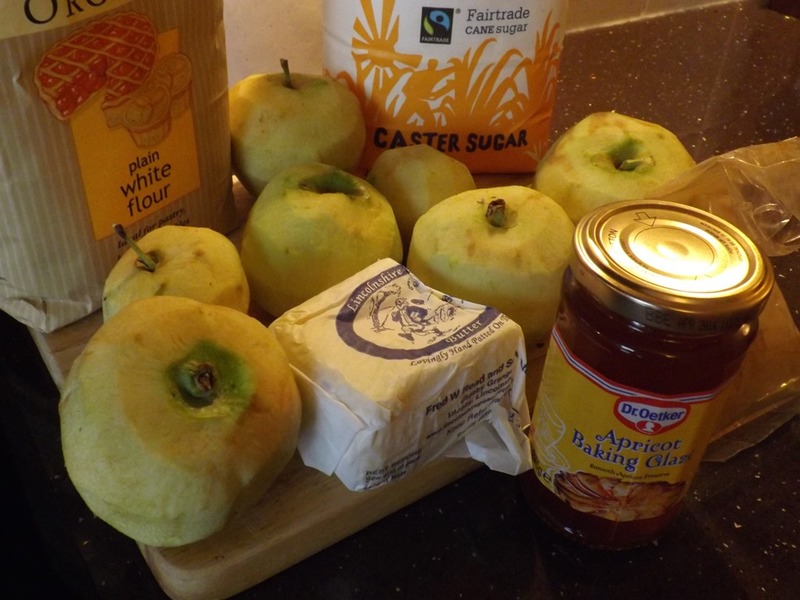 Thanks to my mum and her bountiful cooking apple tree, I have managed to get everything but the sugar for free. 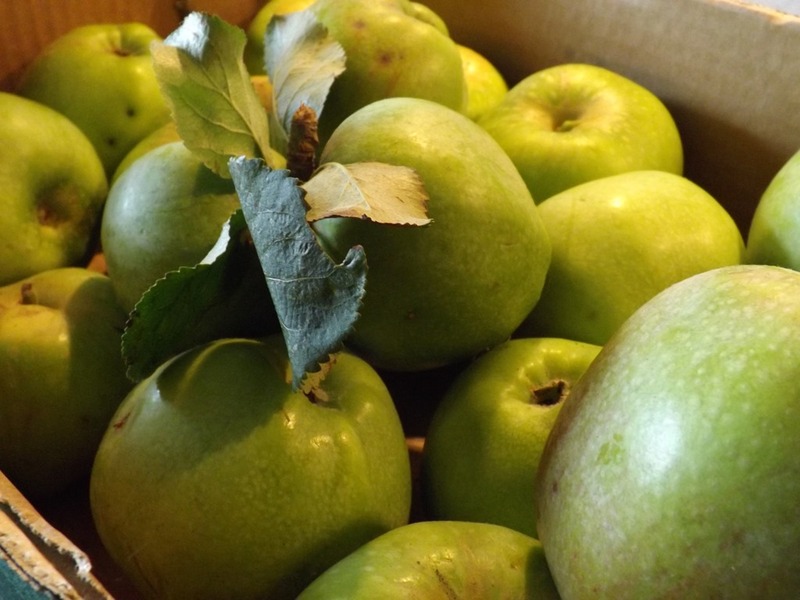 In my experience, people with apple trees are always on the lookout for willing takers (those trees can put out hundreds of the things) so if you know someone with them, let them know you’ll take some off their hands in return for a jar or two. For fruit that doesn’t happily grow in a hedge such as strawberries, try going to a pick your own. If you’re city-based the supermarket at the end of the day normally have reduced fruit and a fruit going into jam doesn’t need to be a looker. 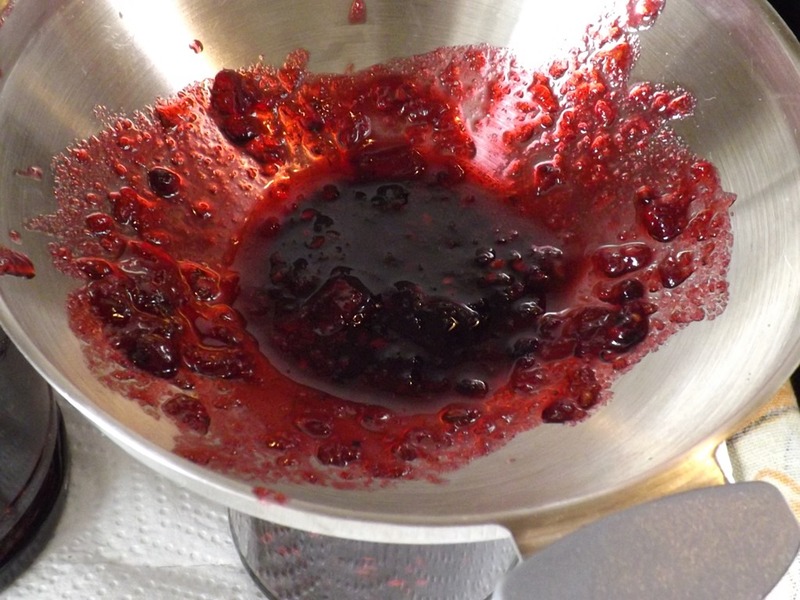 Like bread making, jam making tends to be an exact science. By all means make the recipe work with whatever weight’s you have but make sure the ratios don’t change. 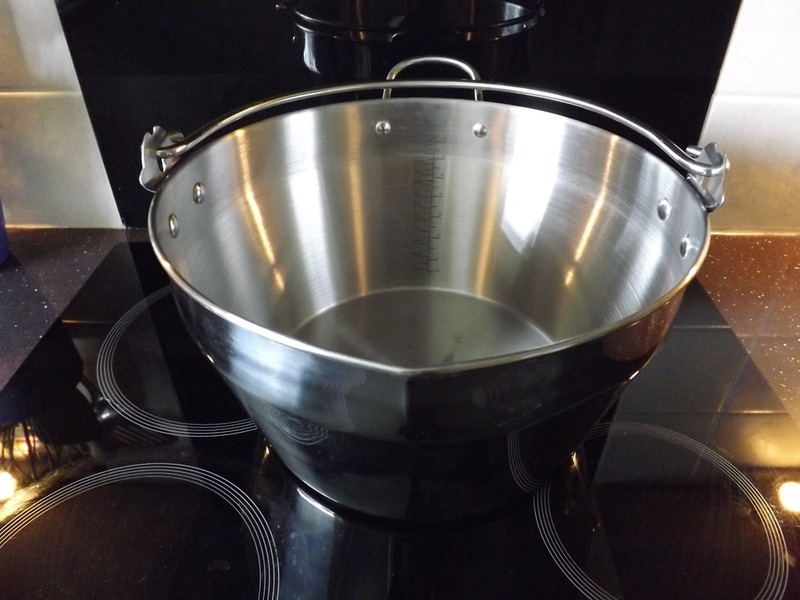 I recently got myself a jam pan – it’s amazing though a little pricey at £35. 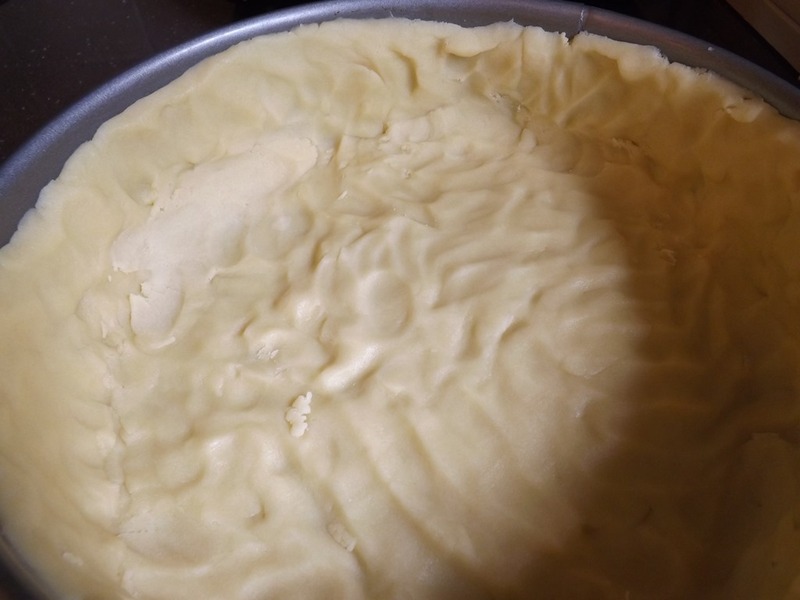 The benefit of the specific pans is that the sides curve out which means when the jam is at rapid boil, it doesn’t rise up so much (i.e. it doesn’t go over the top of a normal pan). It’s also huge so you can do big batches at once and has a little pouring lip which is very useful once you’re on the final jar and trying to get every last bit. 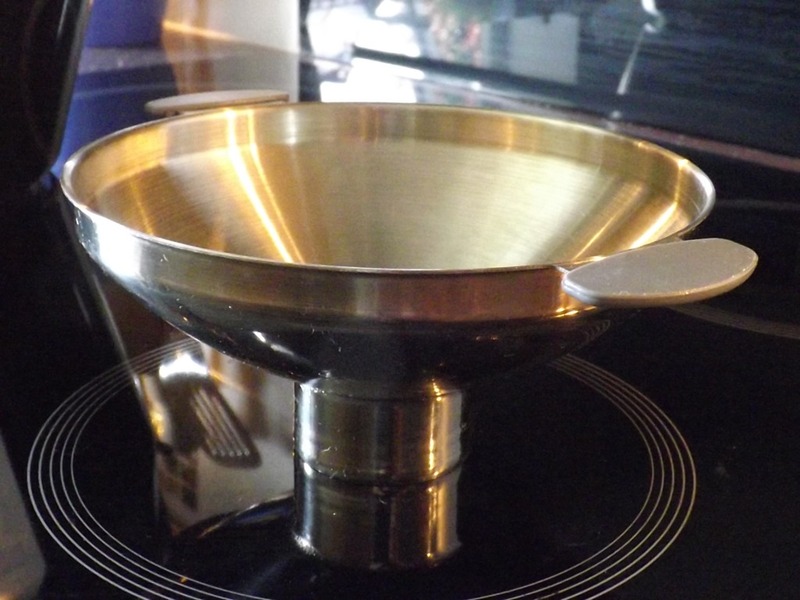 If you have a steel pan with a thick base this does do the trick but just make sure you don’t overfill it as I did many times with my normal pan. I also bought myself a metal funnel a year ago and it makes the jarring process way cleaner believe me! You just put it on top of the jar, and fill it to just over the top of the vertical tube like part (no idea about funnel terminology…). It means you can fill the jar to the very top as well which will help in preventing the bacteria growth. Now of course you can still make a good jam without these things but they just make life a little easier so if you plan to make jam on the regular, keep a lookout for a bargain! 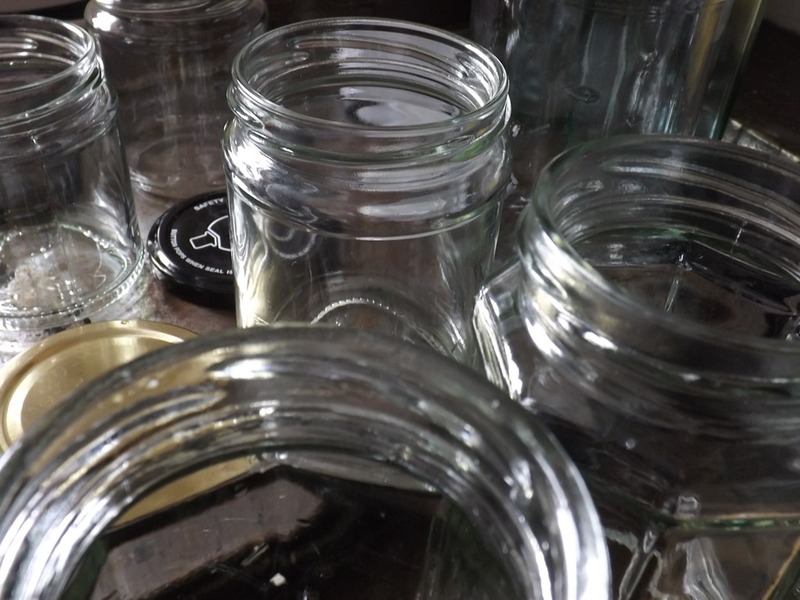 Finally never throw a jar with a metal lid away – you can save £1.50 per jar that way. For my first jam I kept thinking it was boiling too much and turning down the heat. by sheer luck and a lot of pectin those jams still set but for the record this is what a jam looks like at rapid boil. 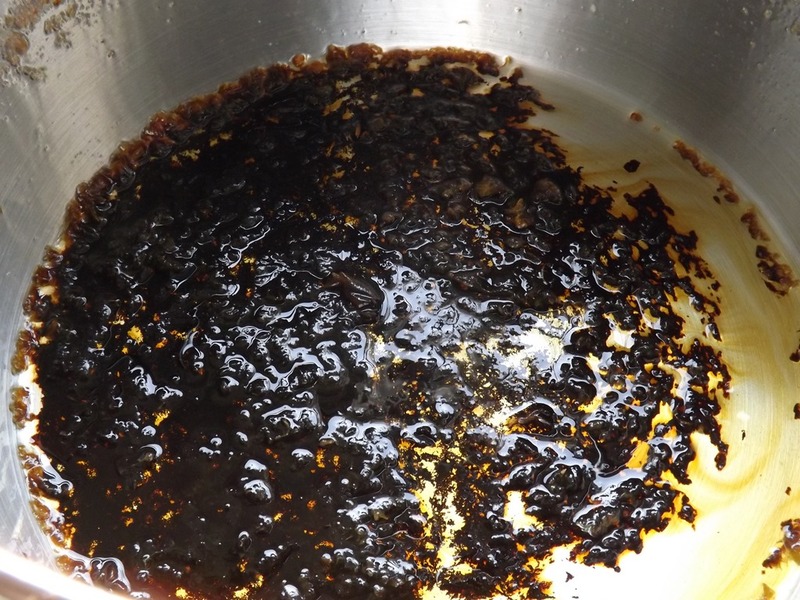 One caveat…do stay with the jam as it boils and stir often (with an oven mitt over your hand). It will burn to the bottom otherwise (grim). 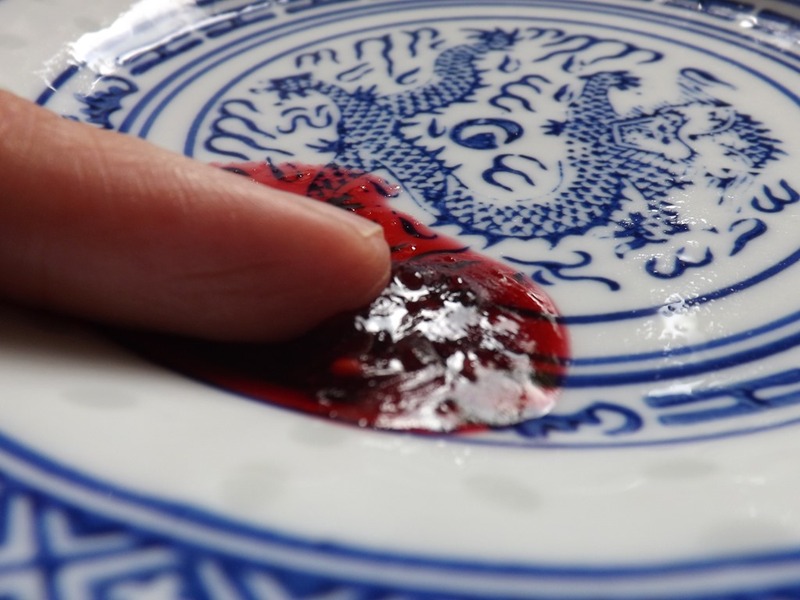 To test if a jam will set many people will put a little of it on a frozen plate, leave it for 20-30 seconds and push it slightly to see if it wrinkles up. I have never had a jam set on the first time I check so keep a couple plates in there. That way one will be refreezing as you test again on the next. 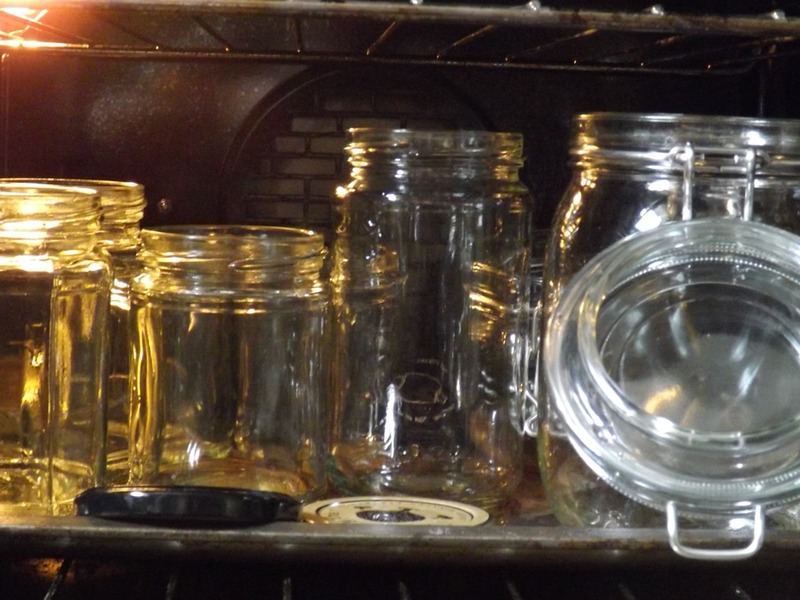 To kill off any bacteria which may create mould, I put my jars and their lids in the oven at 110 degrees Celsius whilst I make the actual jam then once the jam is ready I line them all up with their lids. I put a tea towel down as jam will spill and basically have everything arranged so I can get a production line in order. I also keep a bowl on side to put sticky equipment like spoons in as I change jars, add on lids etc..
I’ve always done this as a way of getting killing off any last bugs and it has never failed. 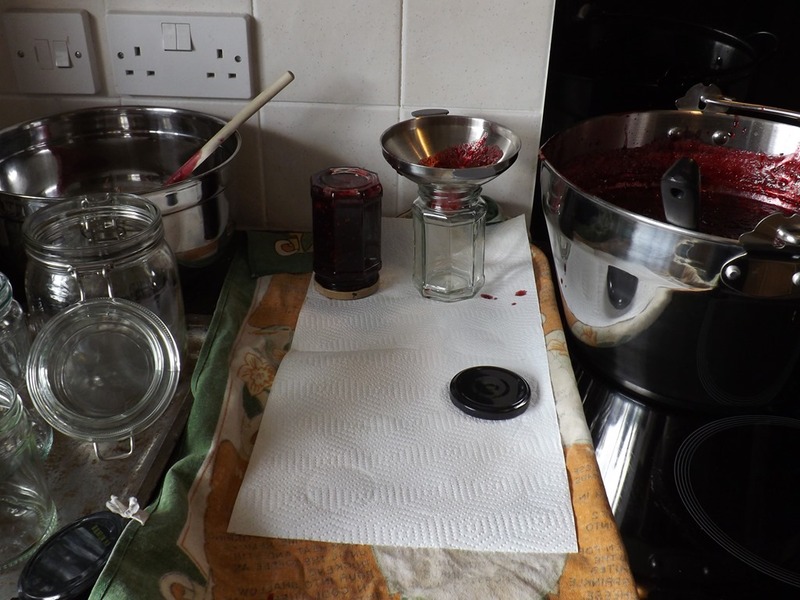 As the jam cools down in the jar it will create a vacuum and you’ll notice that the dimple in the middle of the lid will have popped down after an hour. Not to begin the post on a bad note but I am terrible at photos and revert to a default vacant/grumpy look if I even get a hint of a possible photo – I have no idea why but I am going to make a concerted effort to attempt smiling in photos I swear. So, ignoring my face, this is the dress I’ve just finished! Ah what a lovely pattern to work with! The bodice is formed of 6 individual pieces so it was definitely not a Saturday afternoon project but it’s a very comfy dress and fits like a glove so well worth the extra time. I made this pattern once before in a cotton drill for a family party. It worked well with the heavy drill but the liberty lawn I had this time was far lighter so I decided to line it. 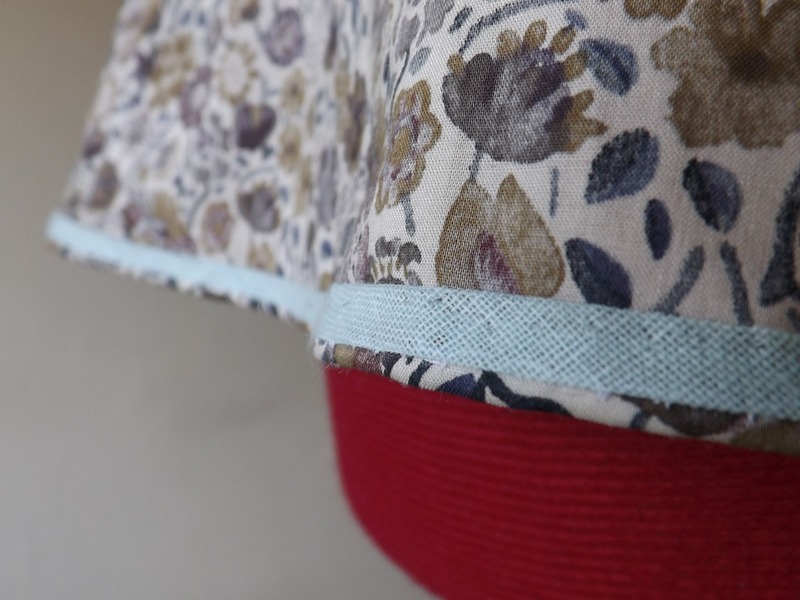 In previous projects, my sewing machine and I have been abysmal at lining, so I readied my seam ripper and took a deep breath! 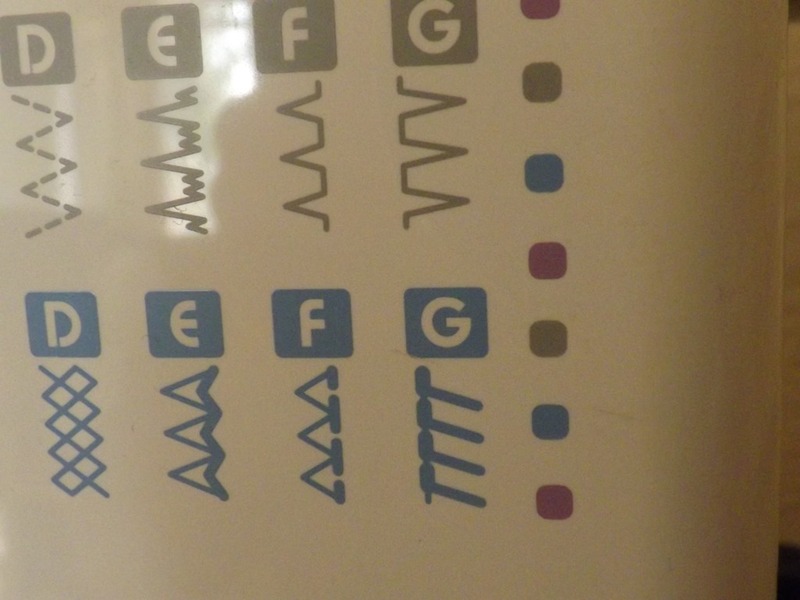 For a straight and tidy look, I would definitely recommend purchasing an overlock foot for your machine – I think mine was like £10 on eBay but I’ve genuinely used it on every project since. 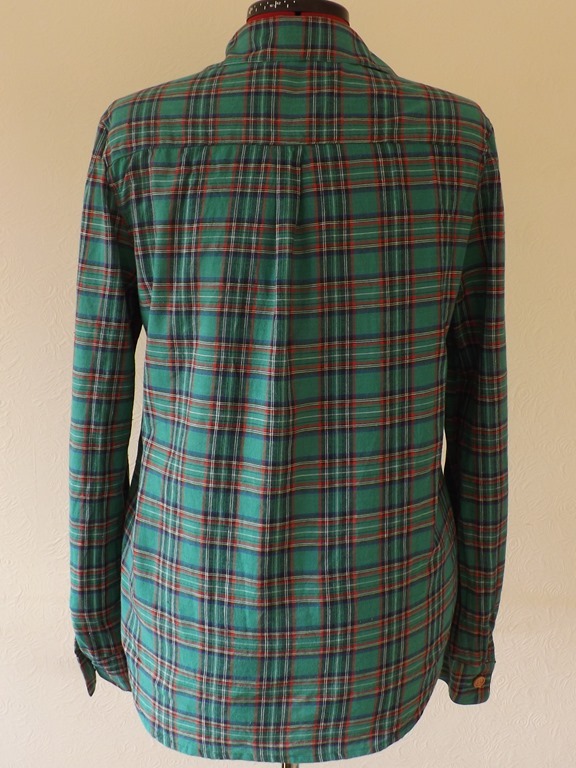 I made up the entire pattern for the lining with the exception of the pockets, sleeves and facing then attached it at the neck and arms to my main fabric, wrong sides together. If I was using a heavier fabric I would have attached it to the facing. 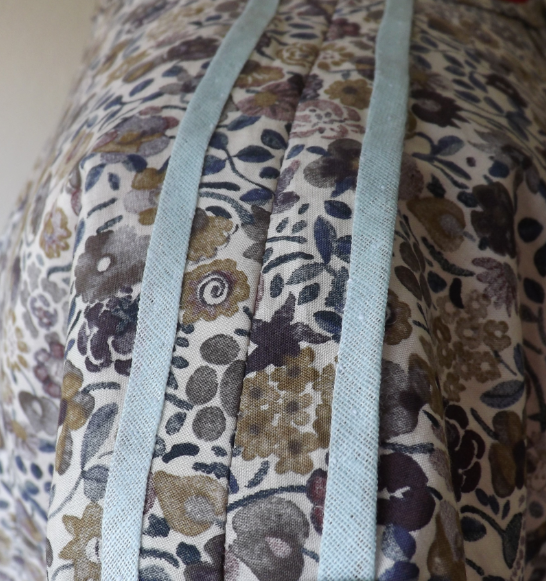 I then just made the dress up as instructed, attaching the lining to the zip after the zip was attached to the main fabric. I have to admit I’m still not hugely pleased with this final outcome on the lining in terms of how it looks but it fits comfortably and I can wear the dress with tights now so I’ll just chalk it down to experience. 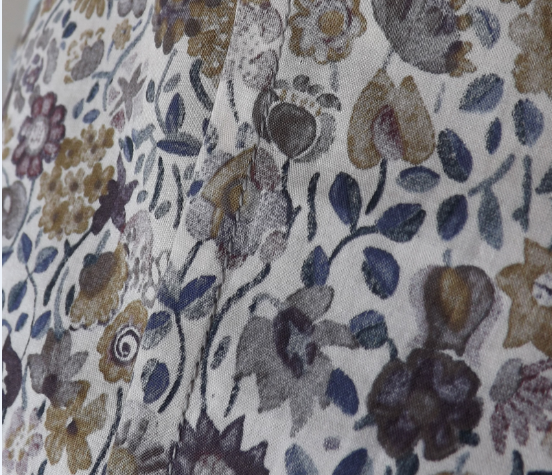 The positives: I love this material – it was so fun to play around with when I was putting the pattern together and planning things. 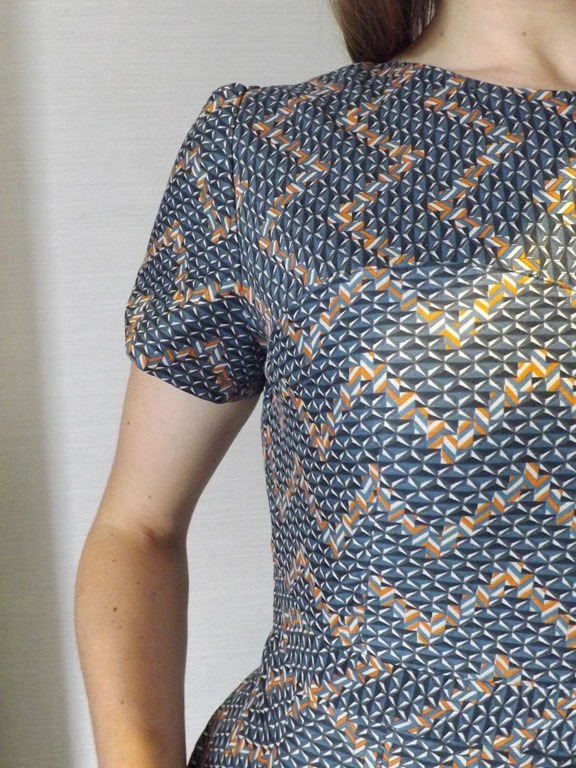 I wanted to work with the orange zigzags in terms of using them in the opposite direction for the contrast pieces (the yoke and midriff band) and I think this worked well. 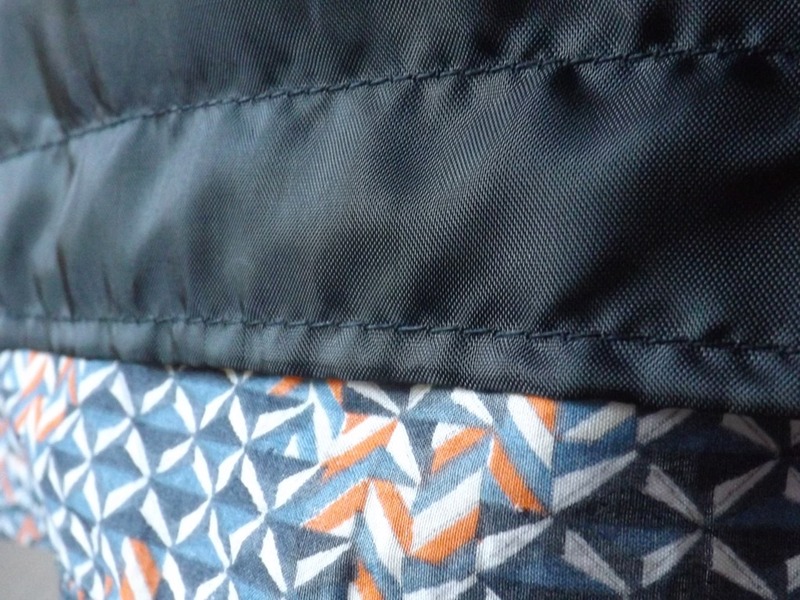 The sleeves on this pattern curve up into a triangle so I placed the pattern piece over the fabric so that the orange triangle would mirror this on each sleeve. My boyfriends sister clocked this immediately which was so nice! 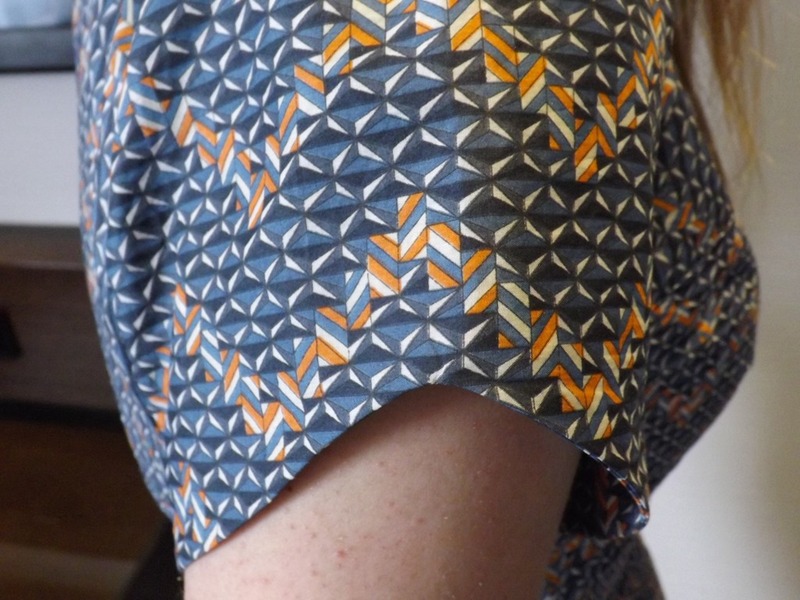 I’ve made this shirt by Grainline Studios once before and I have to say, it’s probably one of my favourite patterns (I think I bought it the week after it came out I was so eager). It’s a baggy ‘boyfriend’ style shirt so I didn’t bother making a muslin for it as I figured the fit didn’t have to be exact. 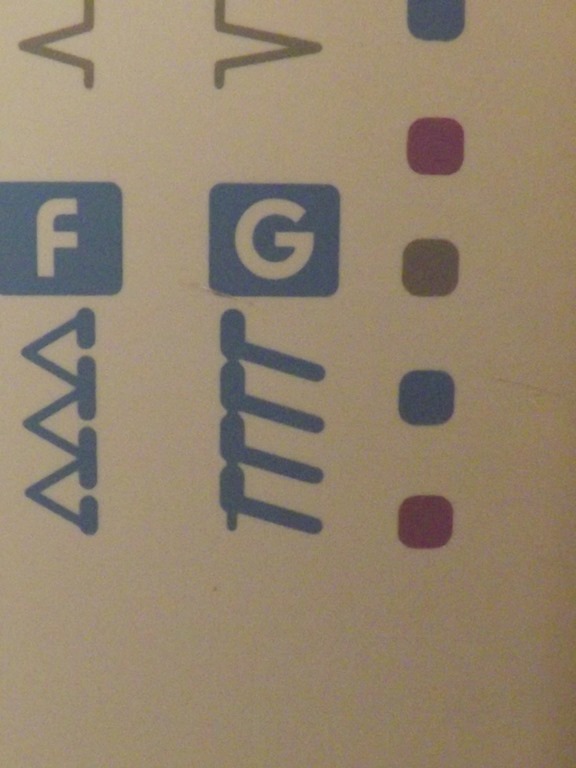 Incidentally a word of warning – do follow the printing instructions to the letter. 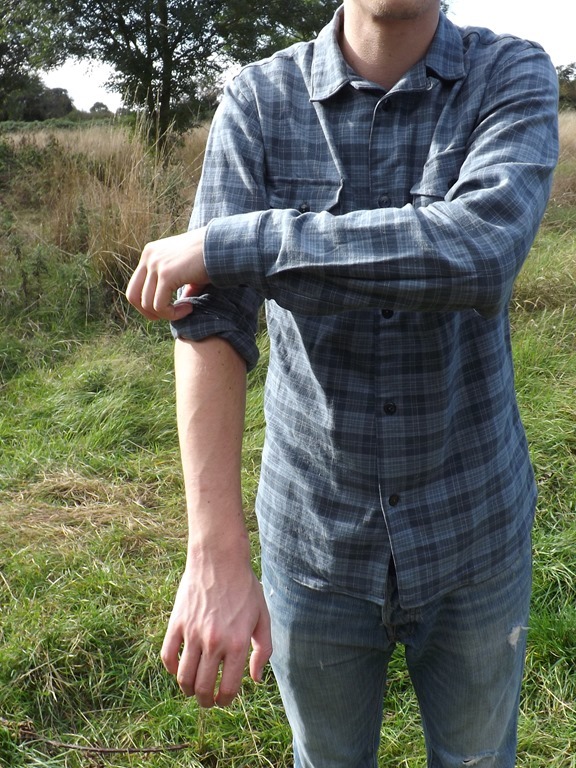 I erm…got the scale wrong when I printed it, cue a slightly smaller than it’s supposed to be shirt. Anyway! This isn’t a post about that (albeit very nice if I was a foot shorter) failed attempt, this is about my second version which I love, love, love! 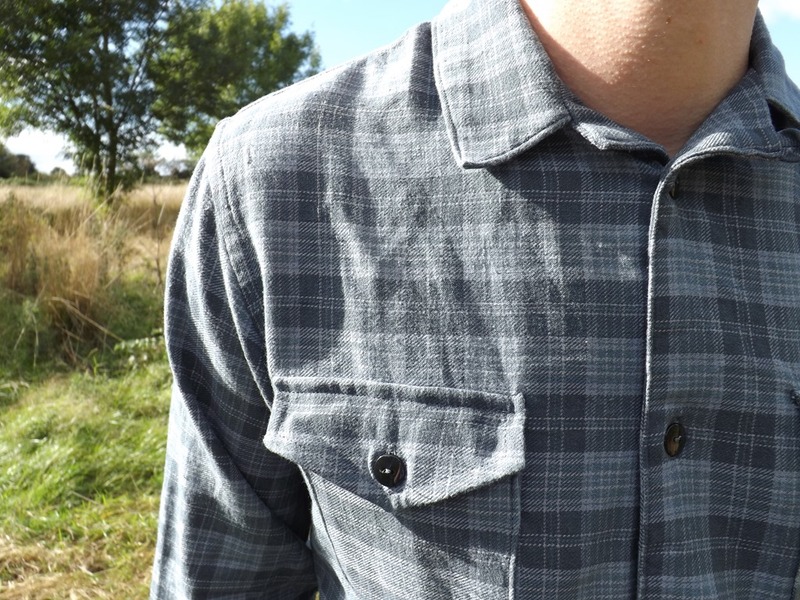 I stupidly didn’t take any picture of the shirt when I originally completed it so I’m afraid these photos are of a shirt that’s seen some serious wear in the last couple of months. 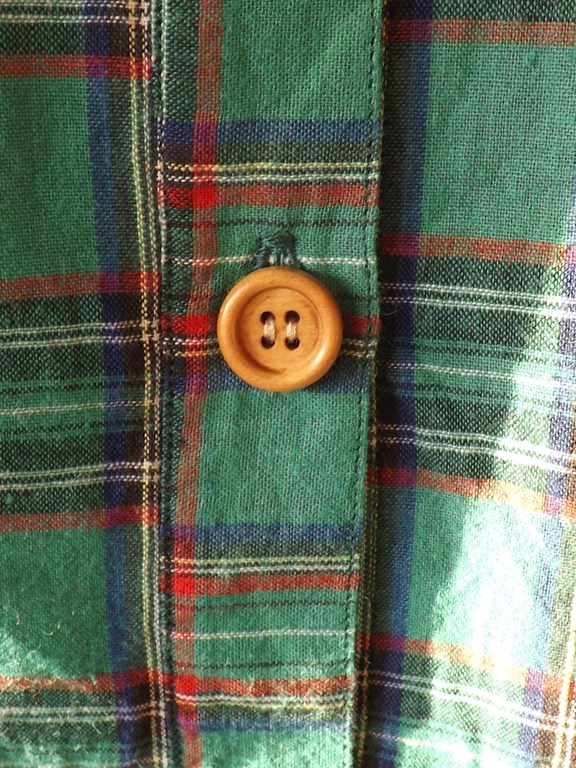 I have taken this shirt on holiday, mooched about the house in it, sewn in it etc. 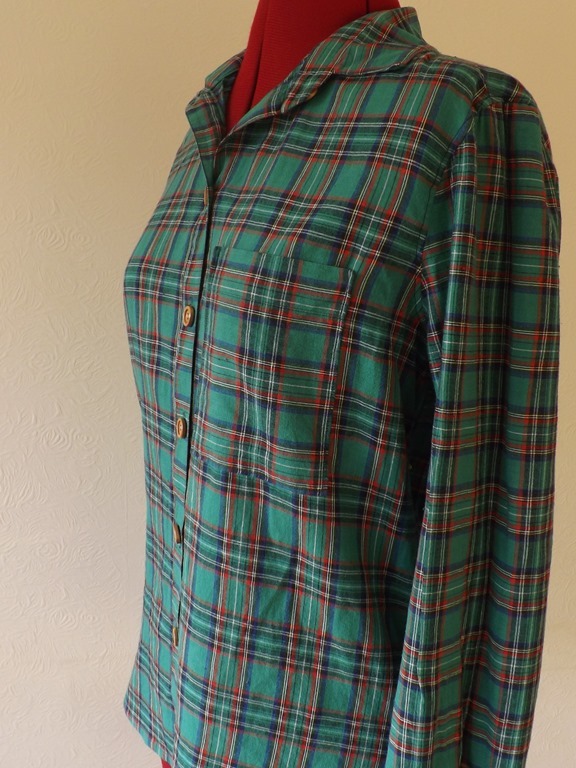 – the point is, it’s super comfy and looks great with skinny jeans/shorts/PJs. The instructions are clear and the design is versatile when it comes to materials (best shown by Andrea who has made countless beautiful versions – my fave is the white work appropriate one). Also as a bonus, I actually picked up quite a few skills with this as well. 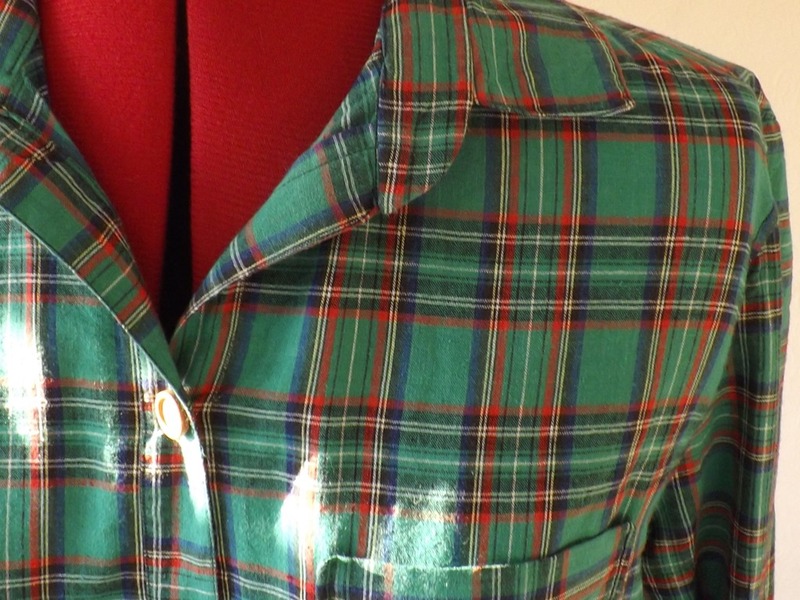 It was a chance to practice collars – the instructions actually suggest a different method which gave a really clean finish and I will be applying to other patterns (I know a few others have mentioned this too). I genuinely can’t wait to make this again, I just need to find a nice woollen material so I can wear it in winter. 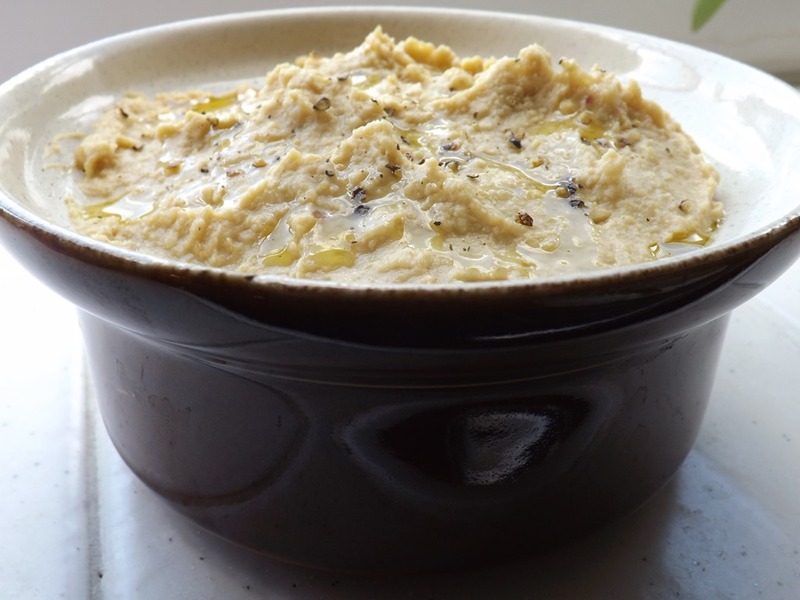 This is a great middle eastern dip (or my personal favourite, sandwich filling) which I think 90% of the population love so I won’t give it anymore of an introduction than this. 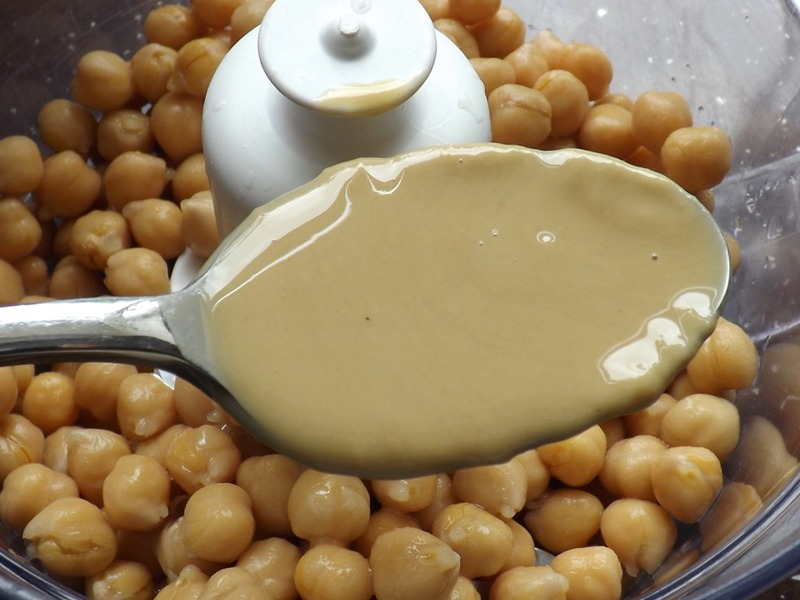 I started making my own hummus a couple of years ago and I’ve found that the recipes can be pretty different across the web. After many, many failures and finally some wins, I’ve finally settled on my own that seems to work every time. 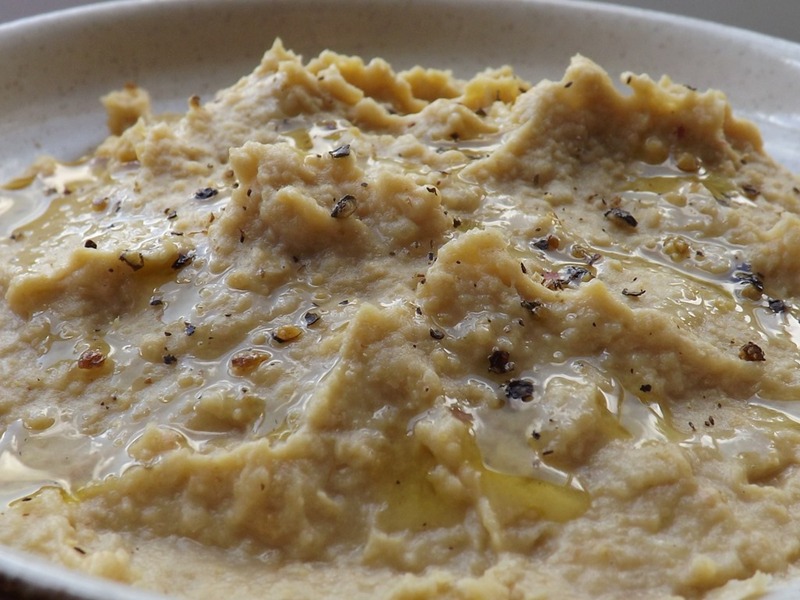 So this is my favourite basic hummus recipe. 1. Using a food mixer (though I have a friend who uses muscle and a potato masher if you do get stuck!) 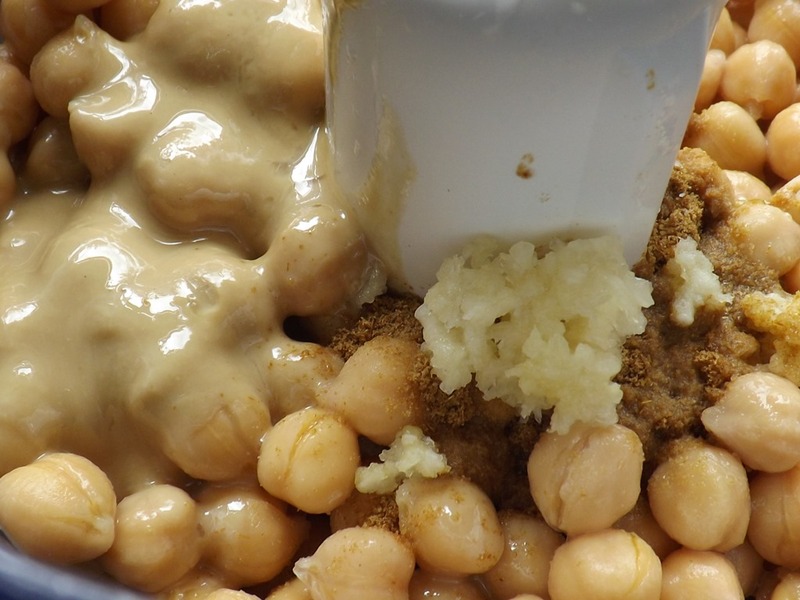 pulse the lemon, crushed garlic, ground cumin, salt, chickpeas, tahini and balsamic vinegar together a couple times. N.B. I do this a few times just to get it mixed up before adding the oil. Bits tend to fly up initially and as you want to be able to add the oil whilst it’s wirr’ing away, it’s best to get the airborne stage out the way first with the processor container completely closed up. 2. With the top of the processor open, begin adding in the oil with the processor running. 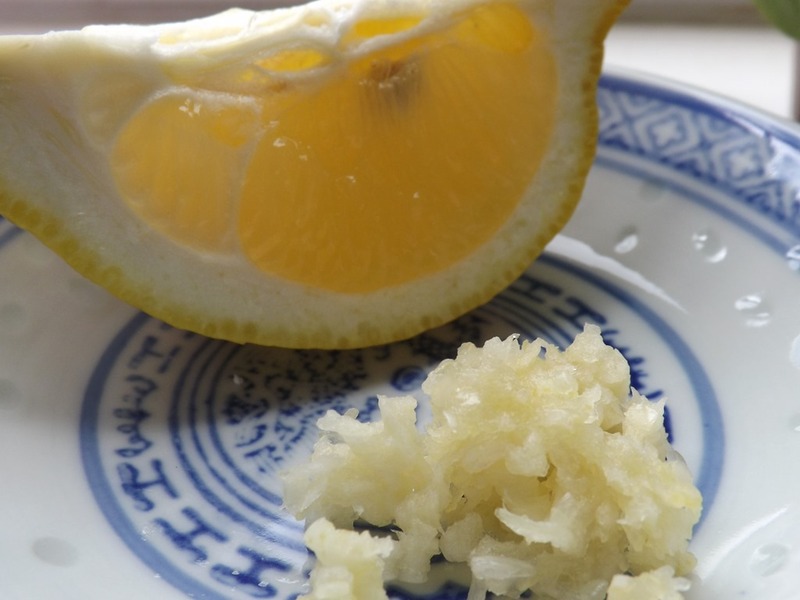 Keep adding the oil until it reaches the consistency you would like. Personally I find that it’s best when its really soft but can still hold a soft peak. 3. 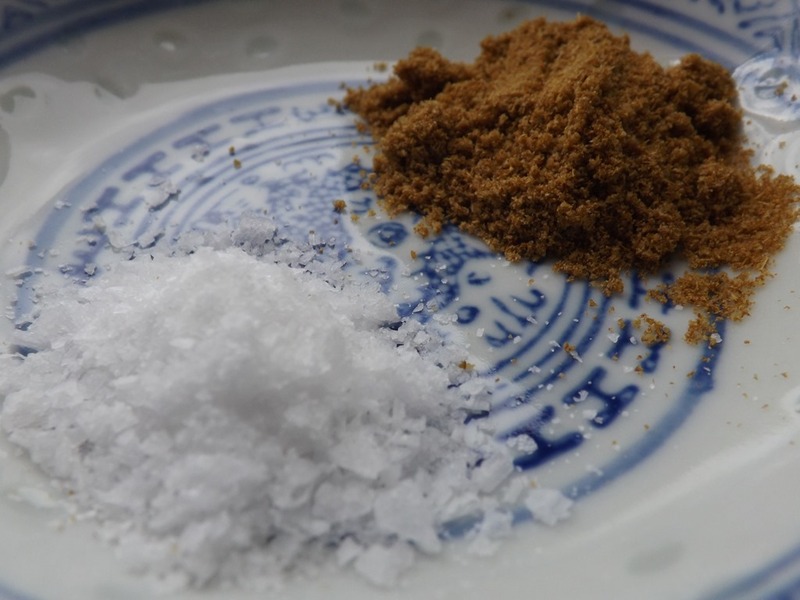 Serve with a little olive oil over the top and ground black pepper. 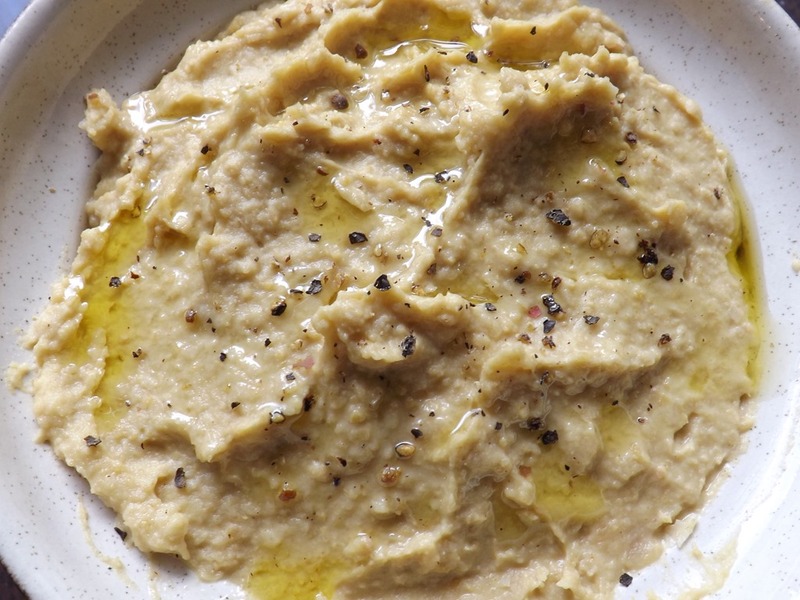 Also, if you have pesto to hand, do stir some in – they go great together! This should last a good 2 days in the fridge as the lemon juice and vinegar will preserve it a bit. I hope you like it!